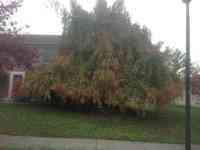 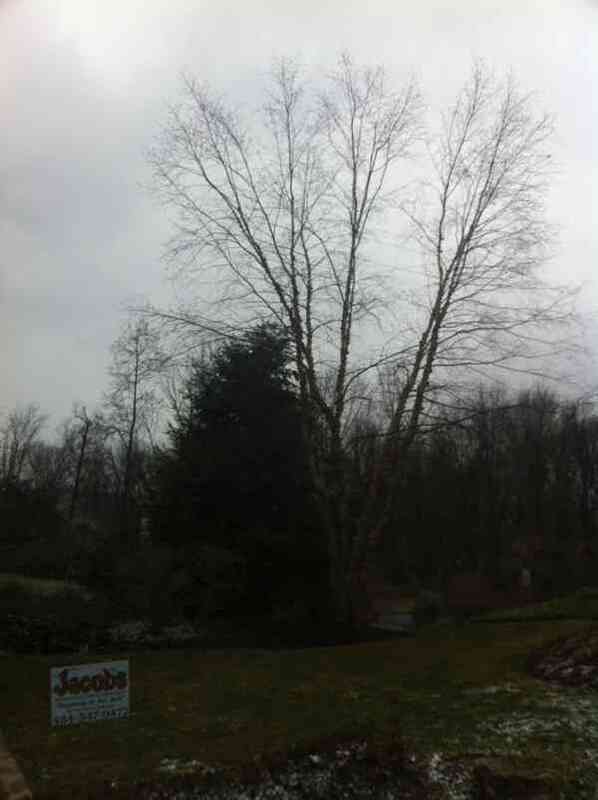 Weeping Beech tree before crown reduction and elevation. 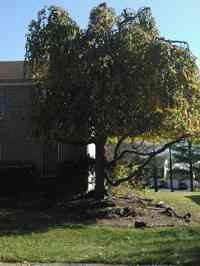 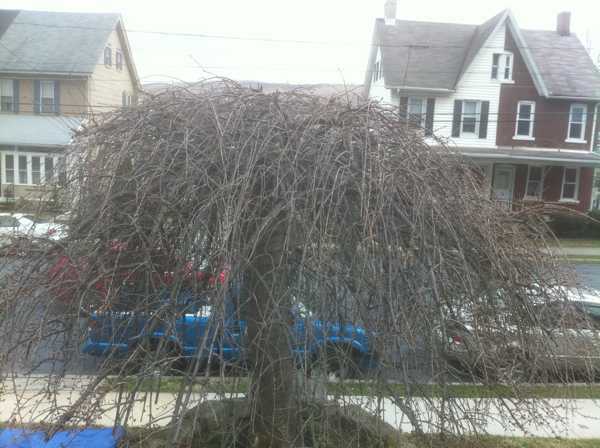 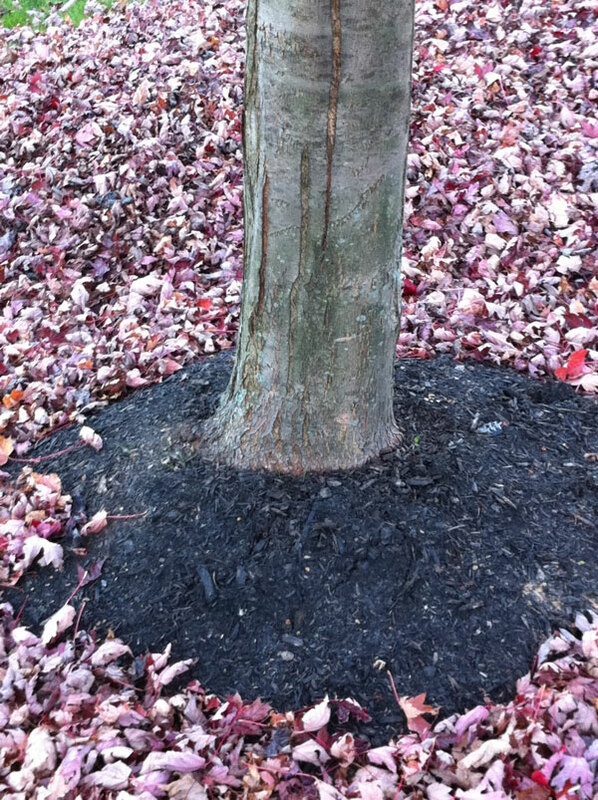 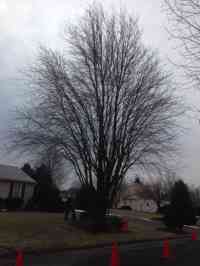 Weeping Beech tree after crown reduction and elevation. 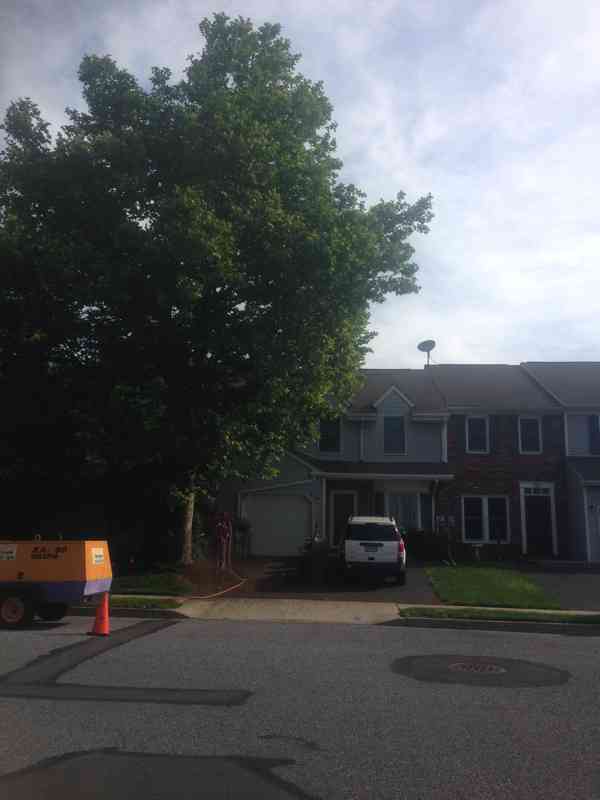 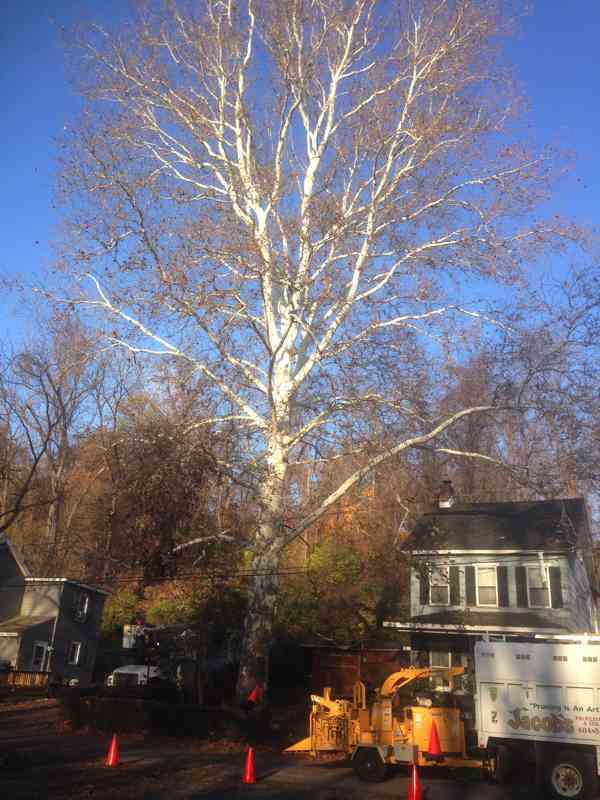 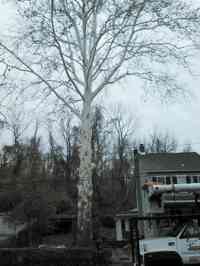 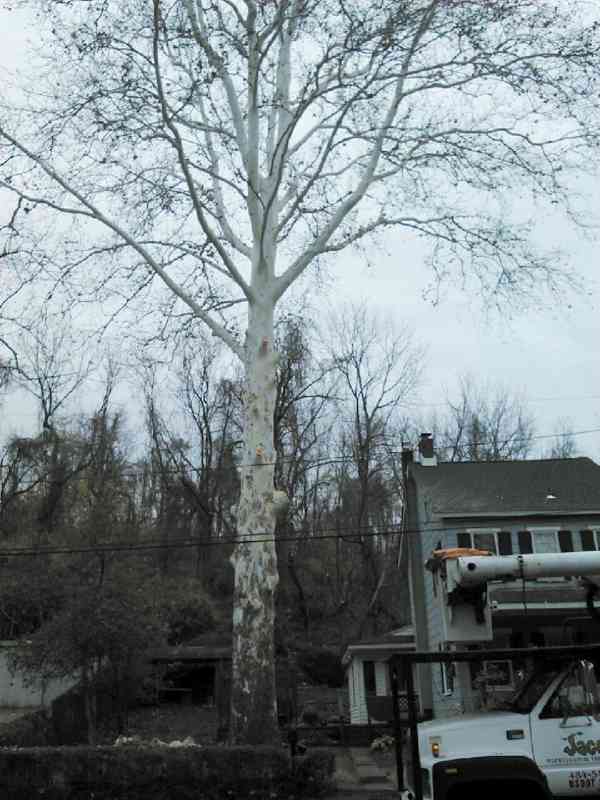 Elevation of large Sycamore over homes and utility lines. 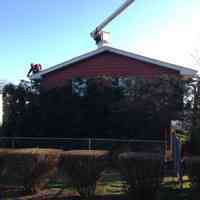 Elevating and trimming back a Red Maple tree form a historic building before renovations. 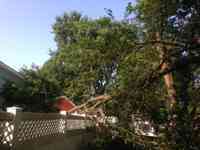 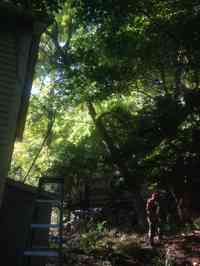 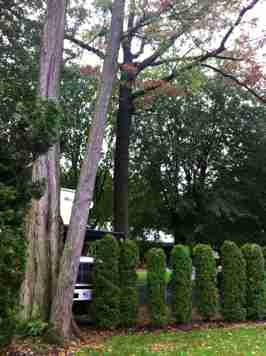 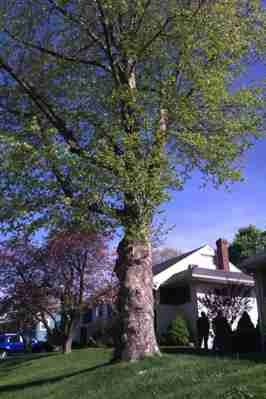 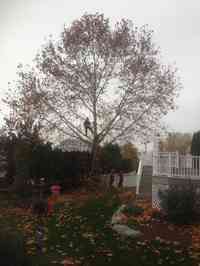 Red Maple tree before structural pruning it and clearing it from a home. 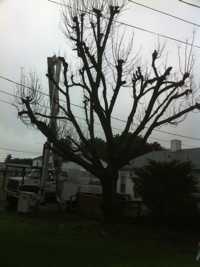 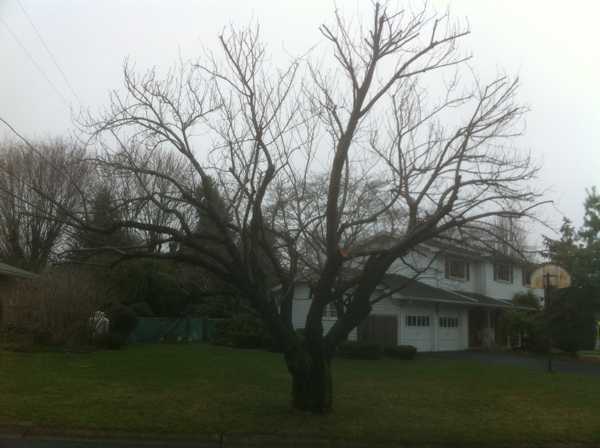 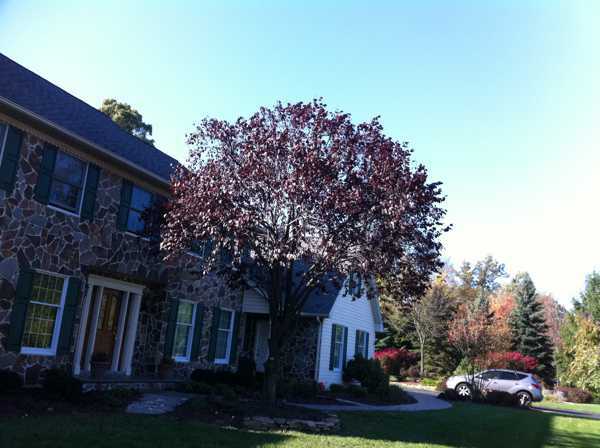 Red Maple tree after structural pruning it and clearing it from a home. 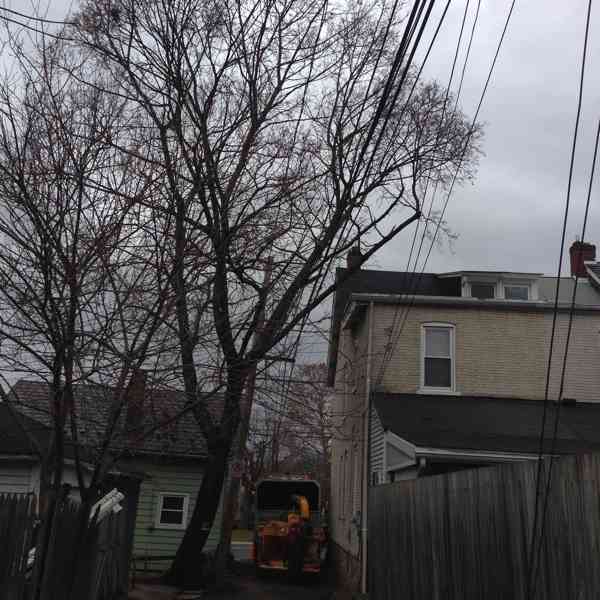 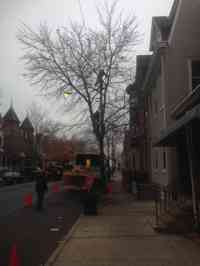 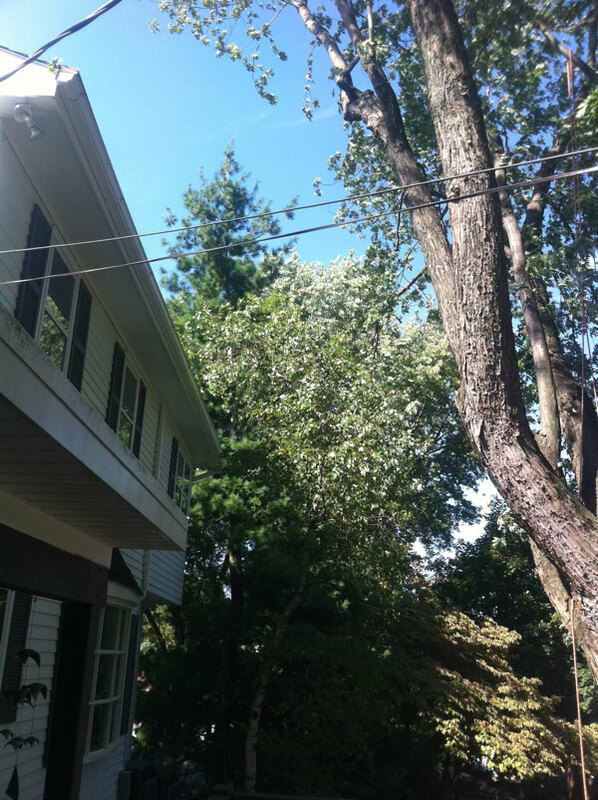 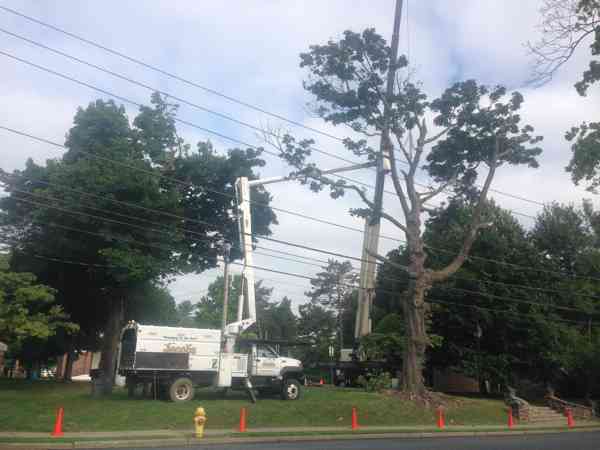 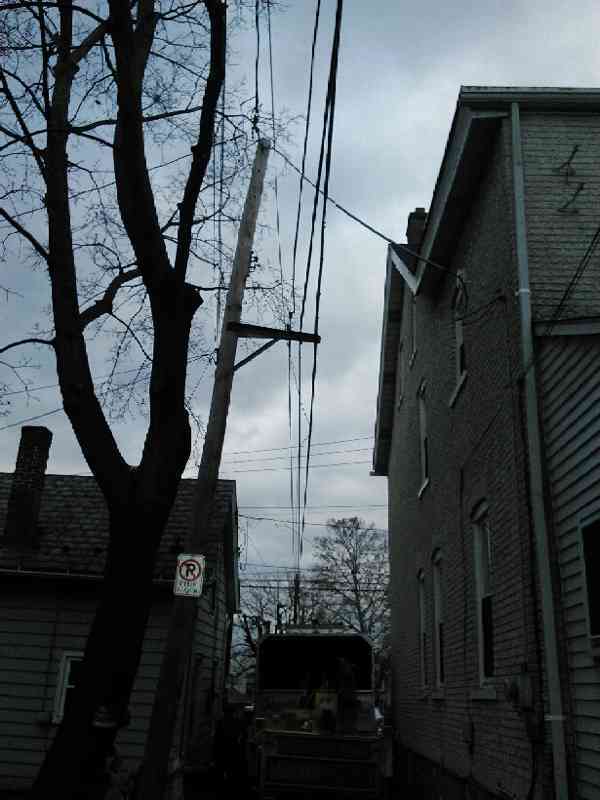 Clearing a Norway Maple from a building and utility lines in a tight spot. 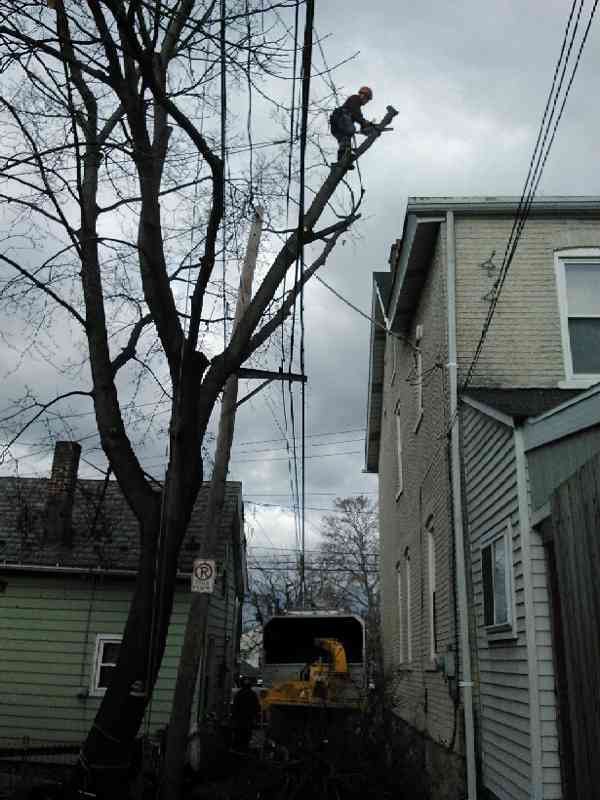 After clearing a Norway Maple from a building and utility lines in a tight spot. 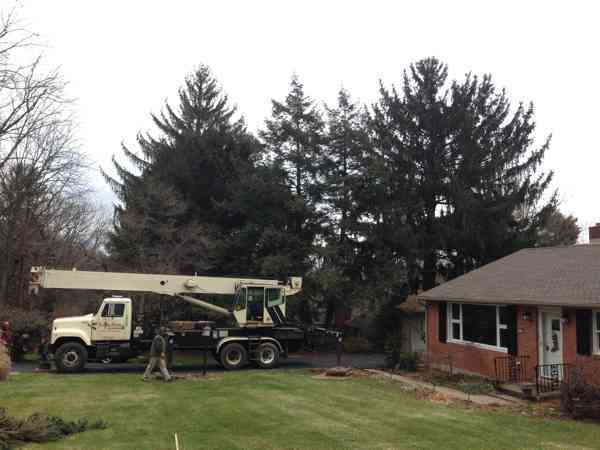 Before the removal of a large Norway Spruce with a Crane. 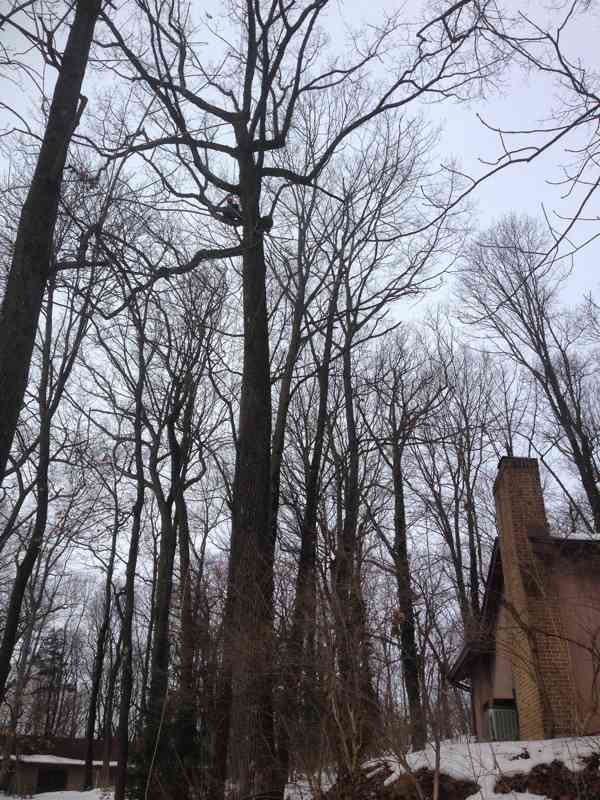 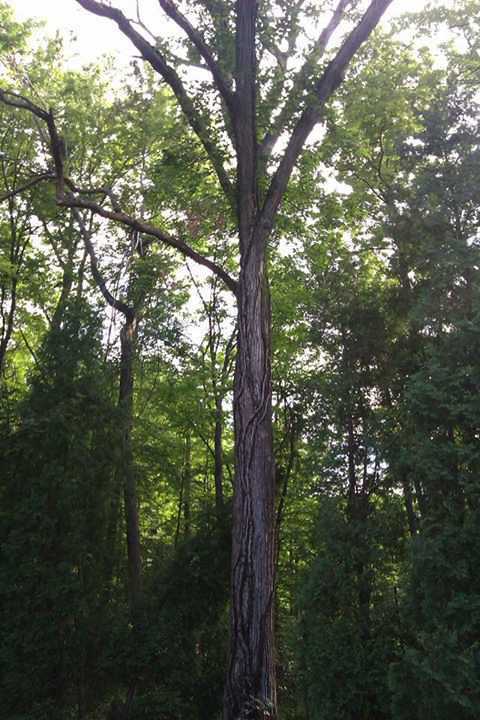 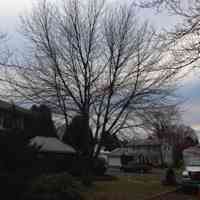 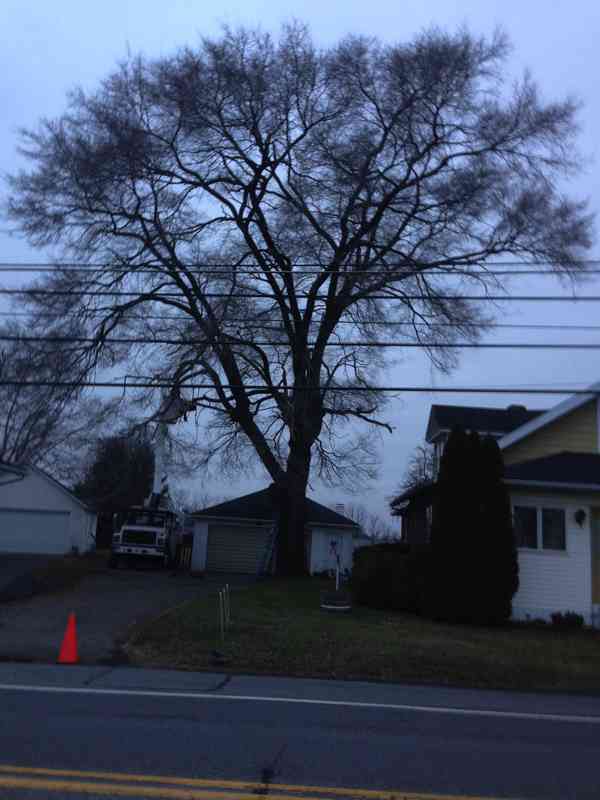 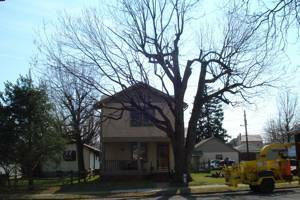 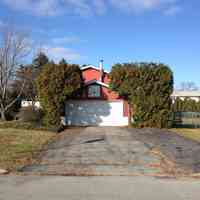 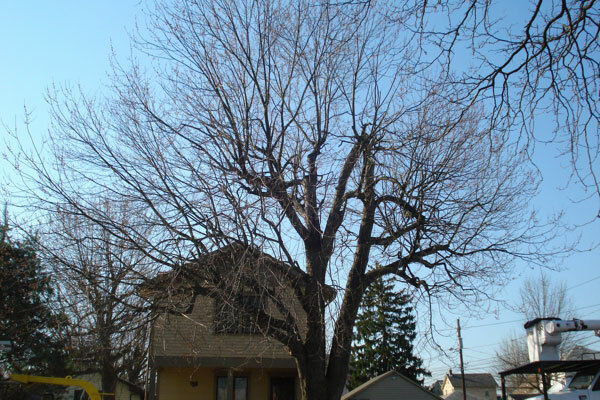 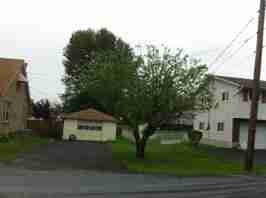 Red Maple tree before structural pruning and crown elevation. 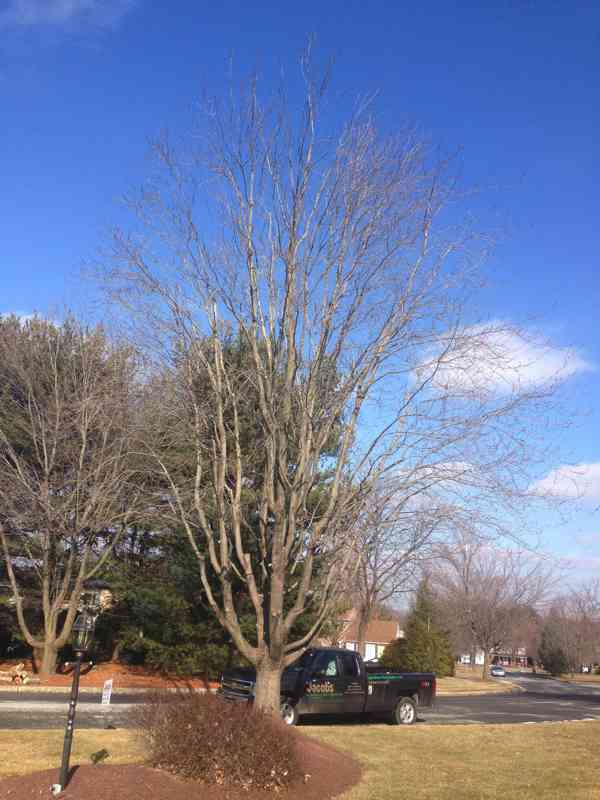 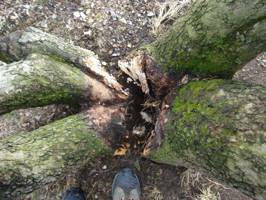 Red Maple tree after structural pruning and crown elevation. 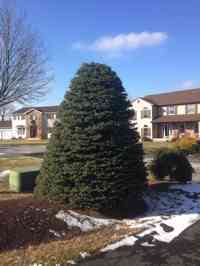 Blue Spruce tree before crown reduction and shaping. 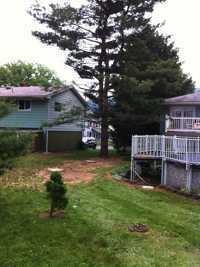 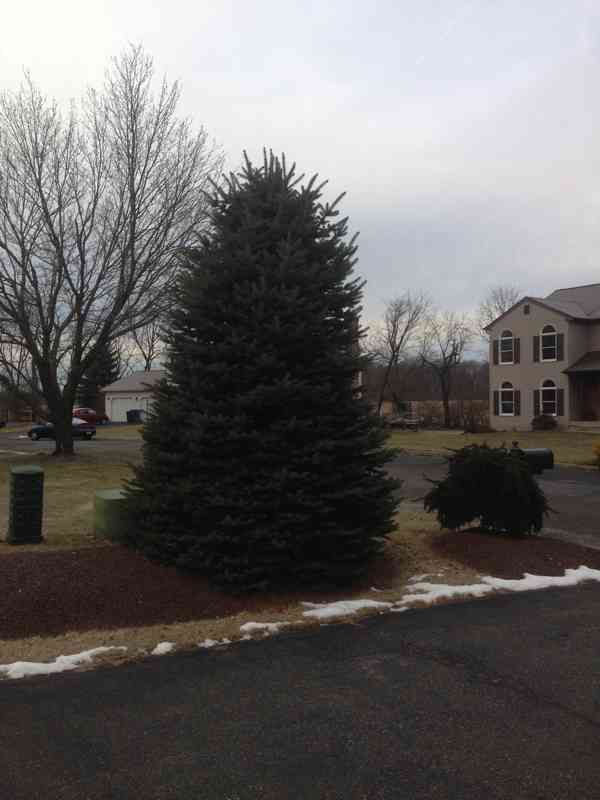 Blue Spruce tree after crown reduction and shaping. 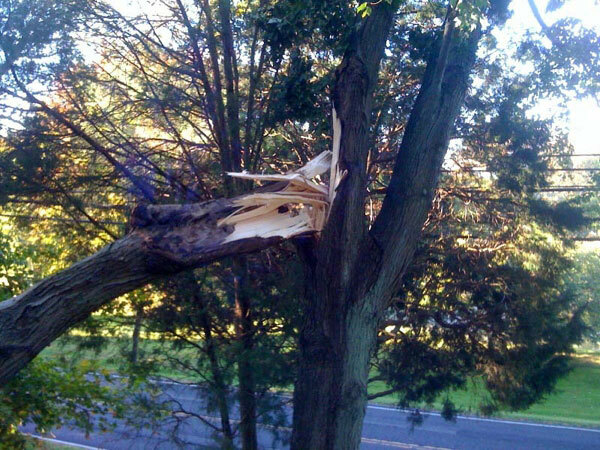 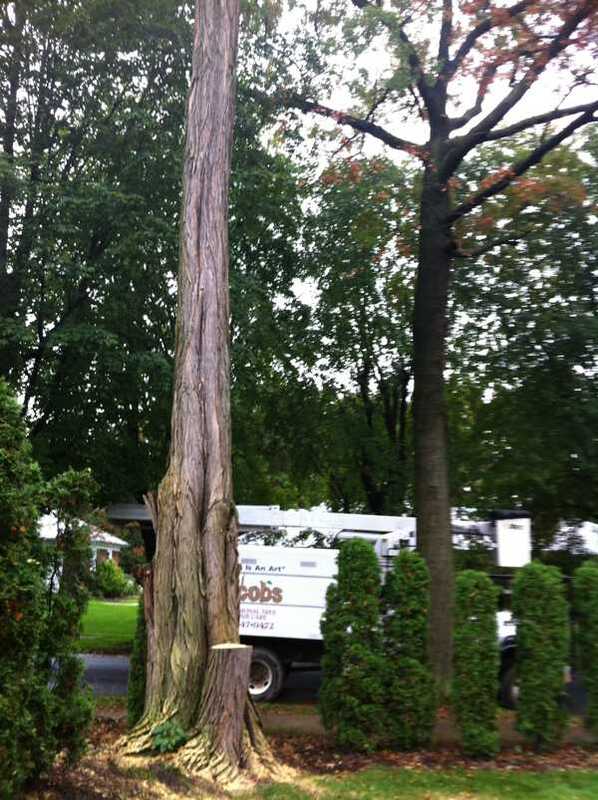 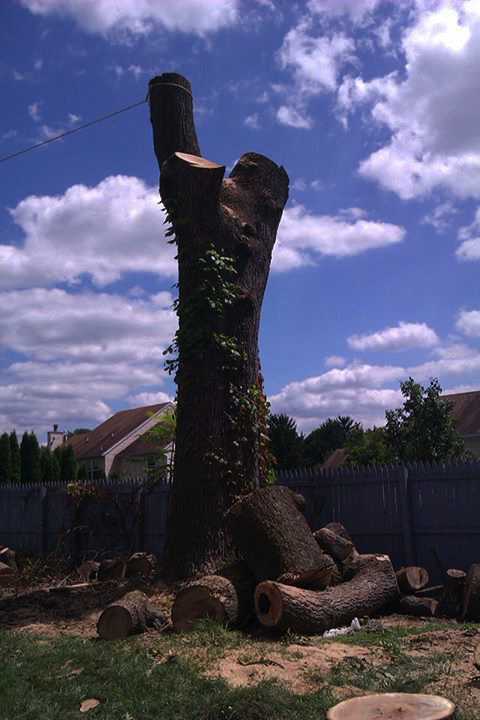 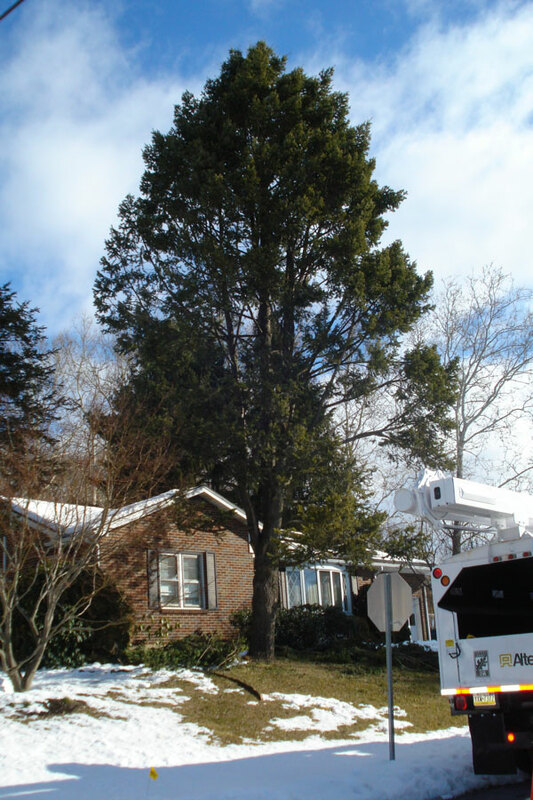 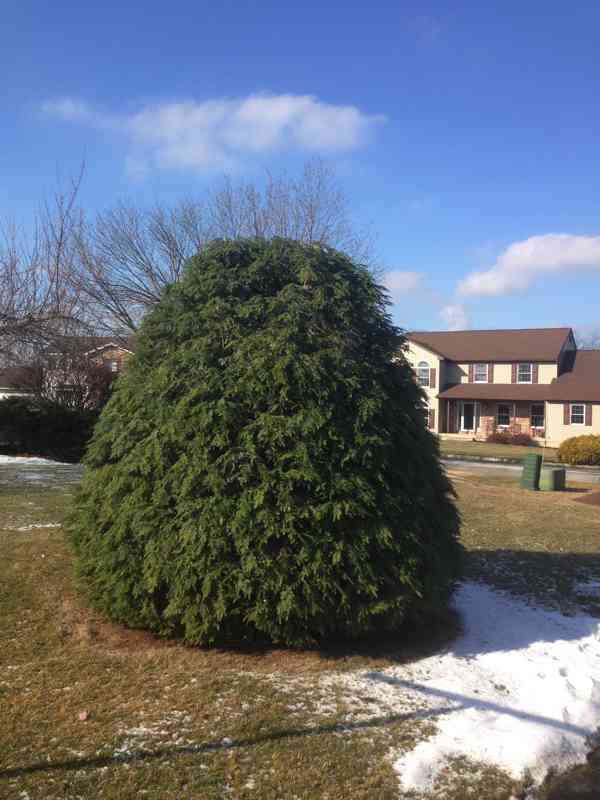 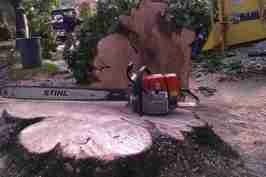 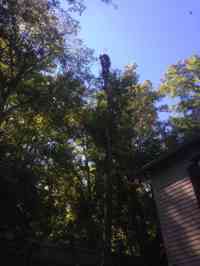 Hemlock tree before crown reduction and shaping. 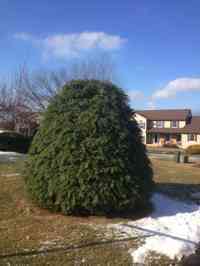 Hemlock tree after crown reduction and shaping. Before elevating and trimming back a memorial tree from hole #7 at the Bethelehem Municipal Golf course. 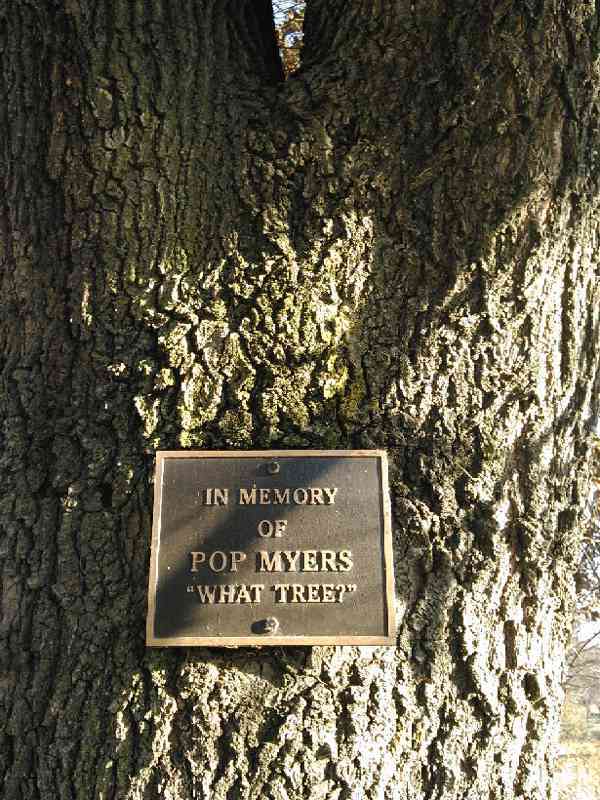 After elevating and trimming back a memorial tree from hole #7 at the Bethelehem Municipal Golf course. 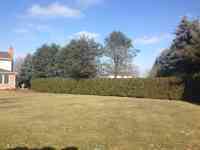 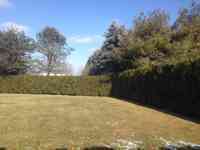 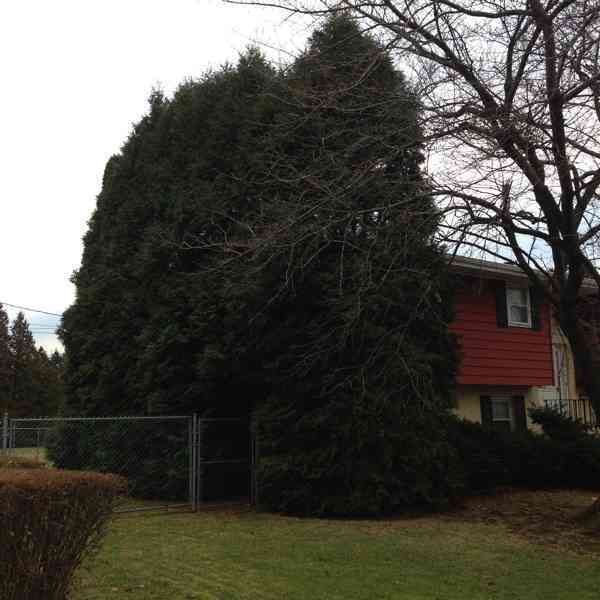 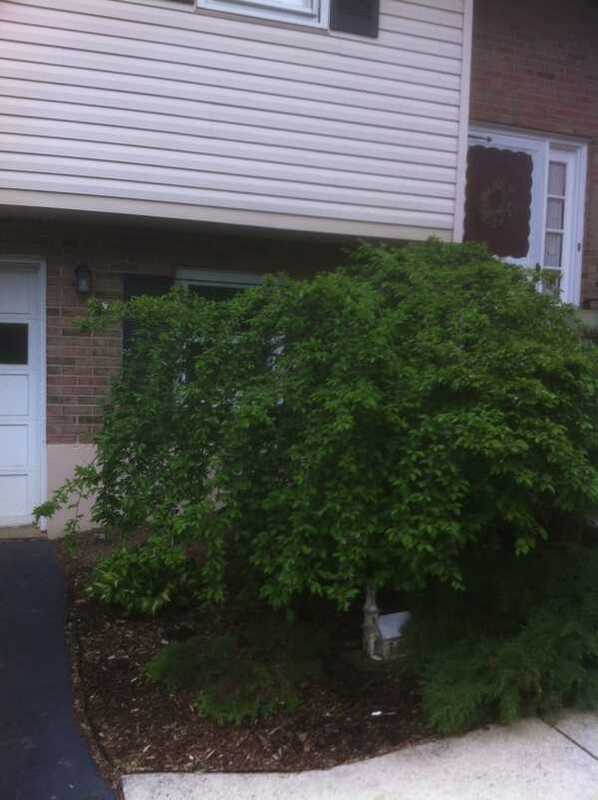 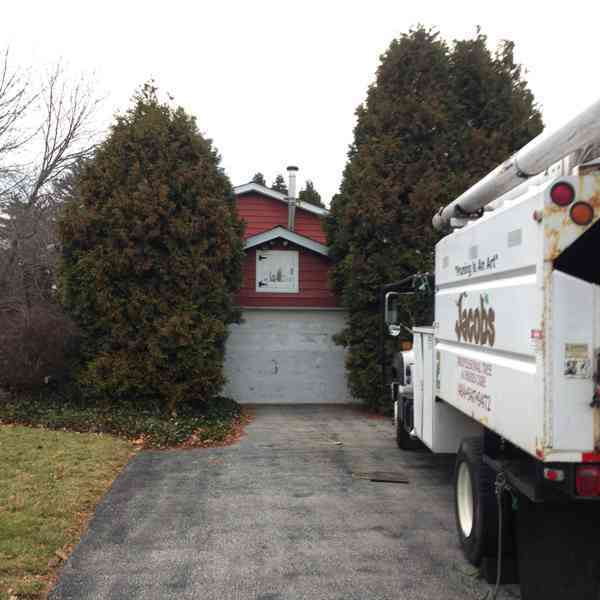 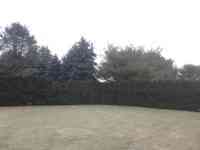 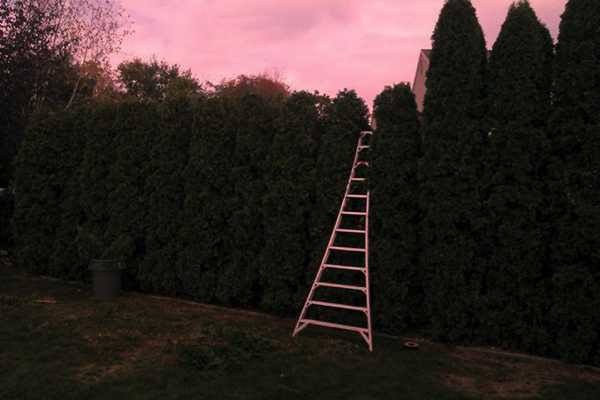 Before height and spread reduction of an Arborvitae Hedgerow. 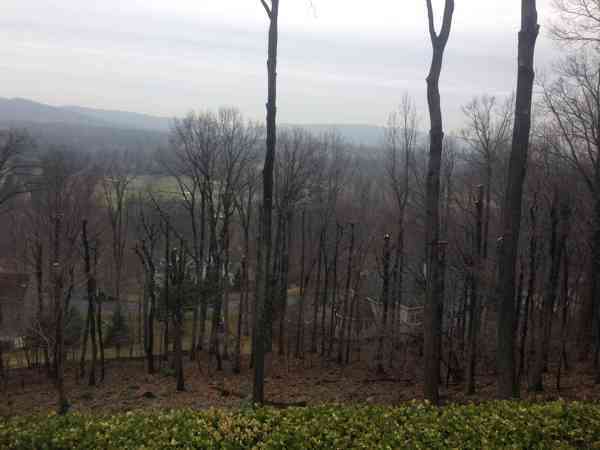 After height and spread reduction of an Arborvitae Hedgerow. 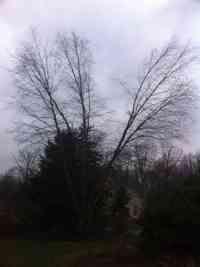 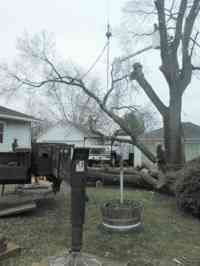 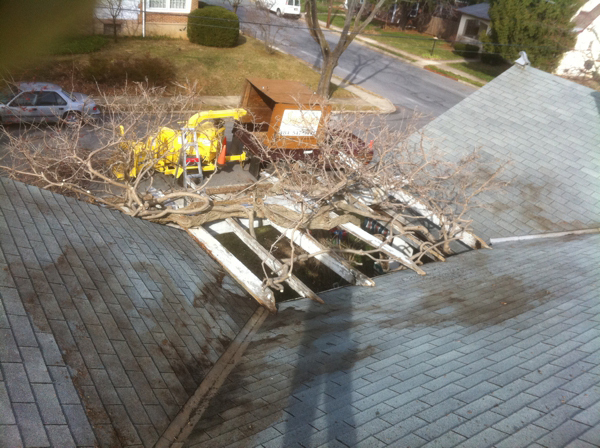 River Birch damaged before ice storm, after installation of cable support system. 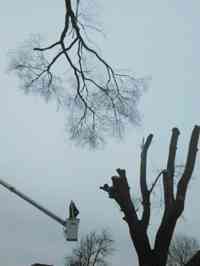 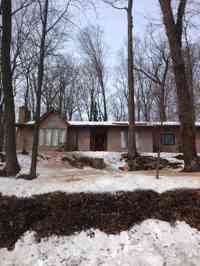 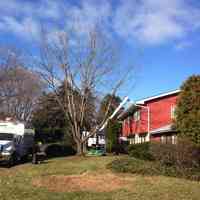 River Birch damaged after ice storm, after installation of cable support system. 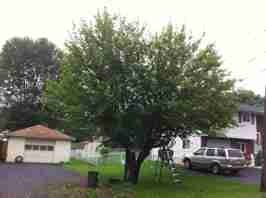 Apple tree before pruning to promote fruit production. Apple tree after pruning to promote fruit production. 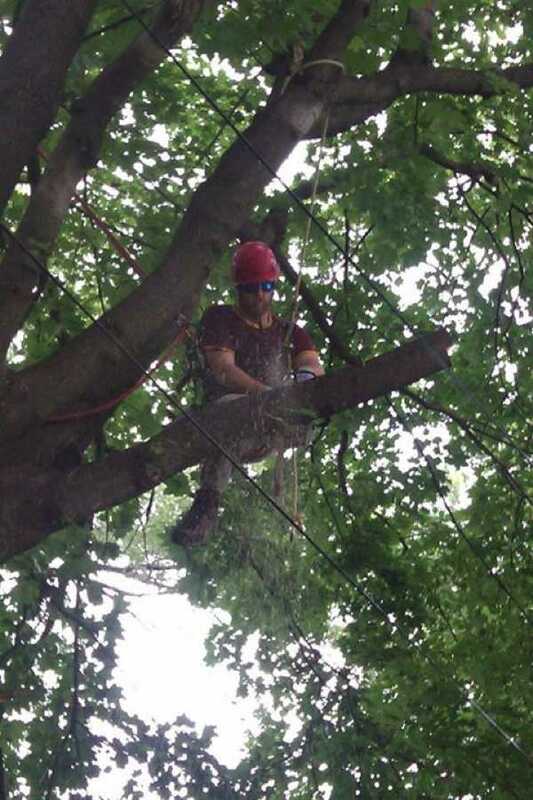 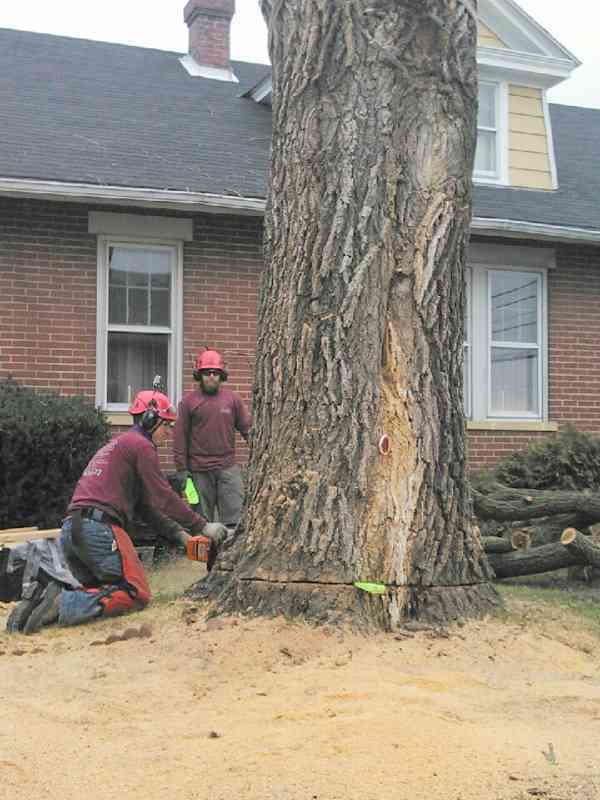 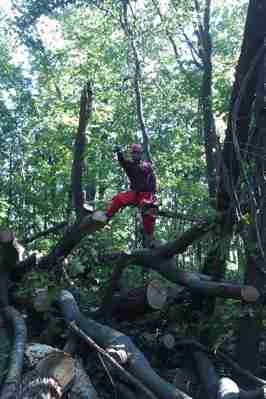 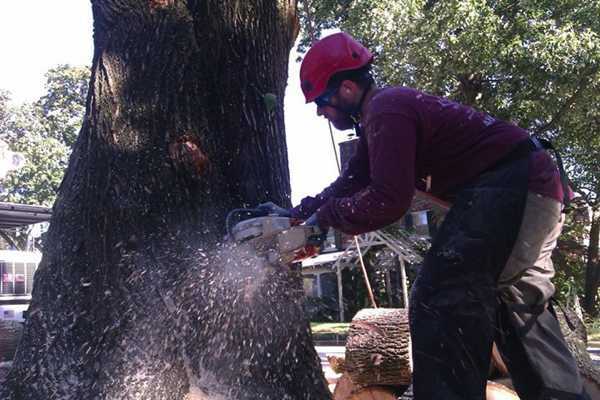 Pruning a large Red Oak. 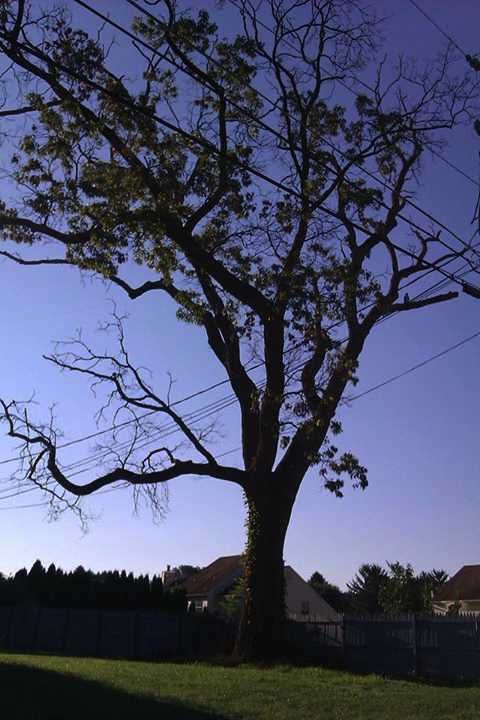 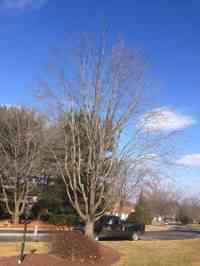 Red Oak tree before restoration pruning. Red Oak tree after restoration pruning. 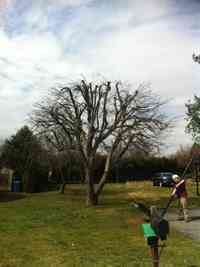 Cleaning up a storm damaged Mulberry tree. 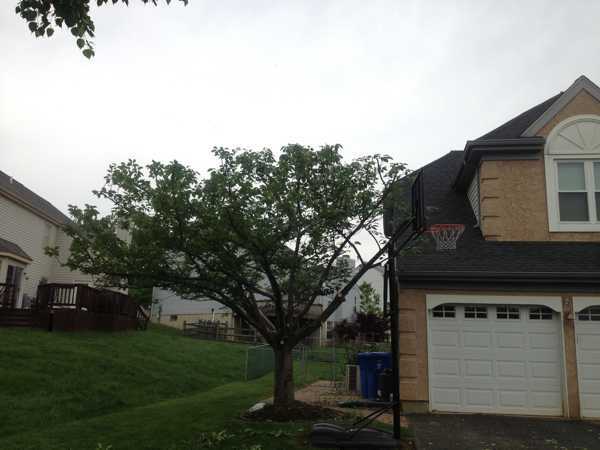 Apple tree before thinning, elevation and reduction. Apple tree after thinning, elevation and reduction. 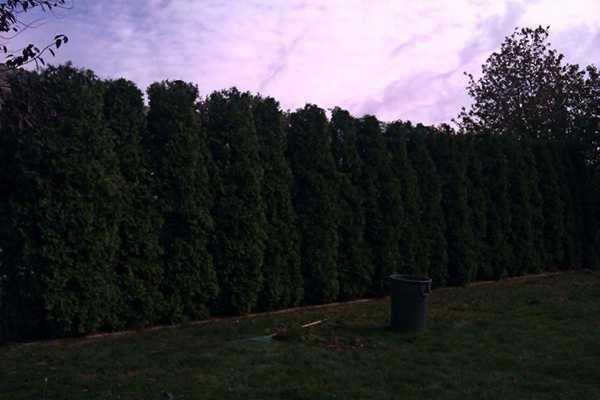 Arborvitae hedge midway through reduction. 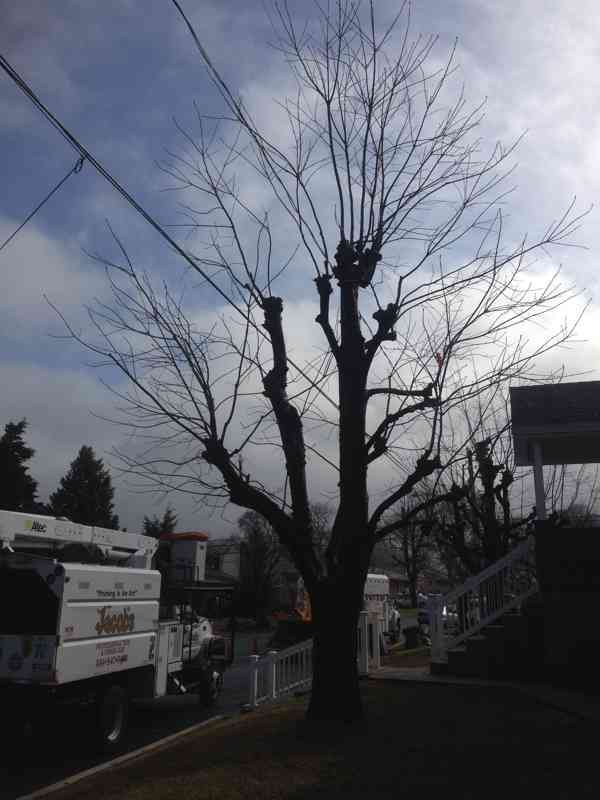 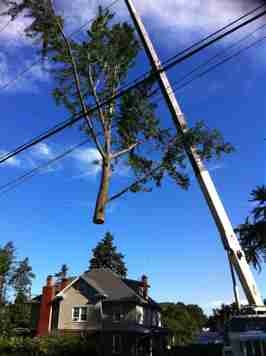 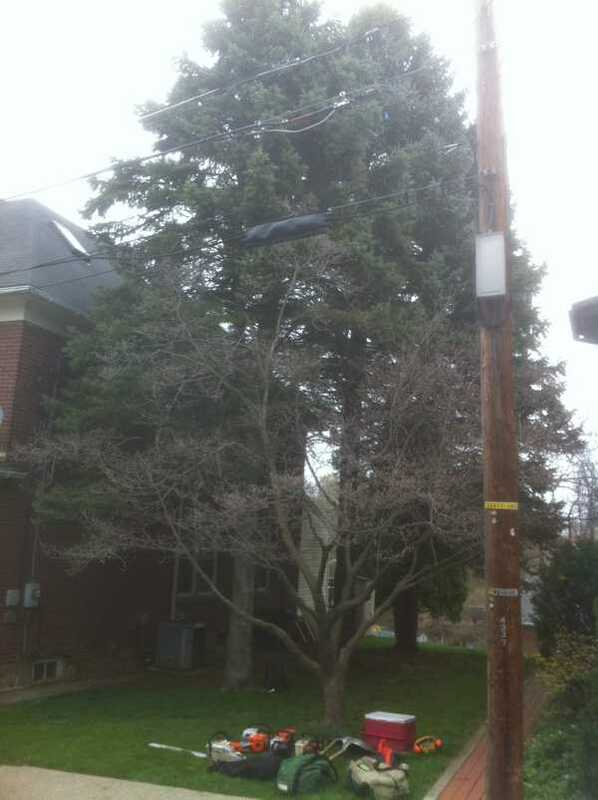 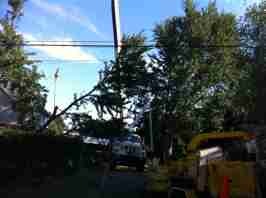 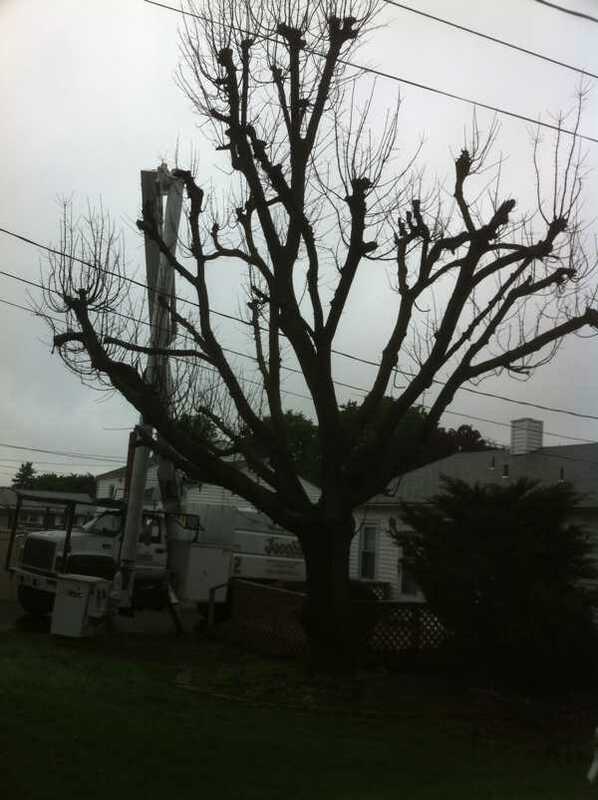 Removing branches encroaching on electric lines. 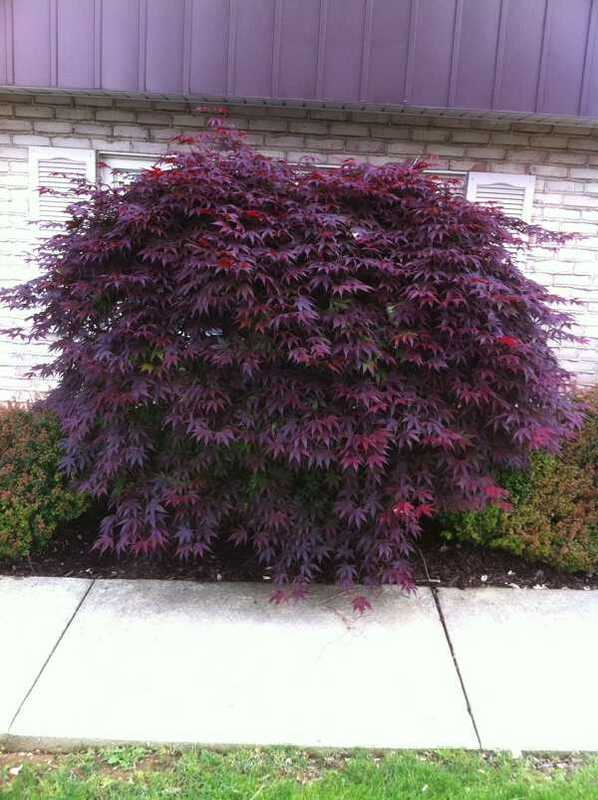 Japanese Maple before thinning and reduction. 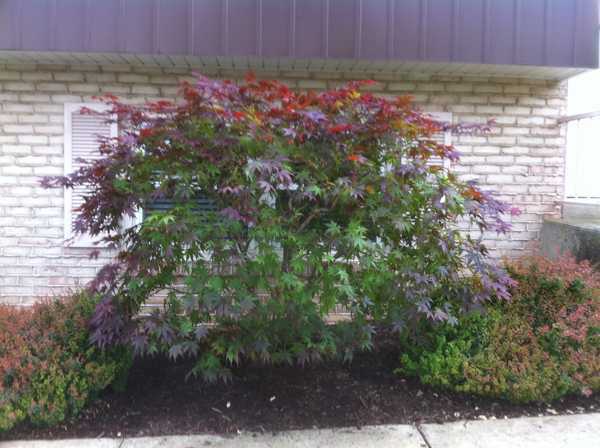 Japanese Maple after thinning and reduction. 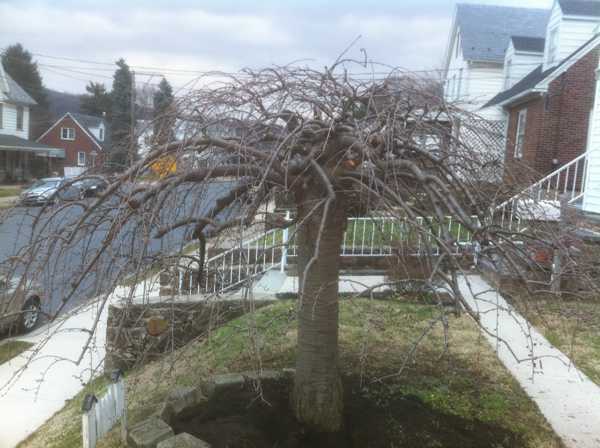 Weeping Cherry before thinning and crown cleaning. 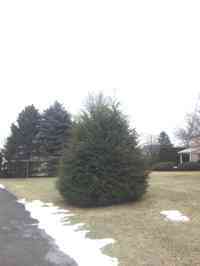 Kwanzan Cherry before thinning and reduction. 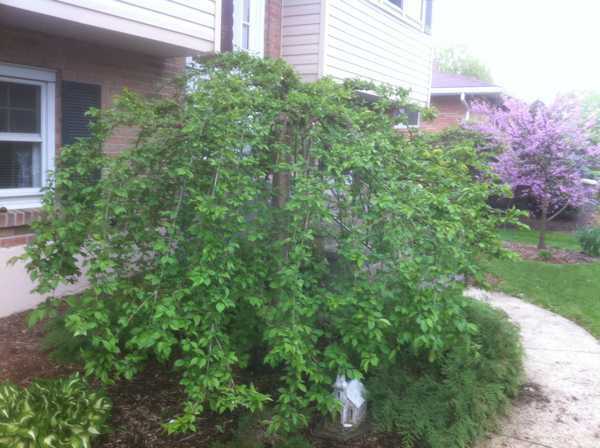 Kwanzan Cherry after thinning and reduction. Before Thinning And Reduction on Kwanzan Cherry. 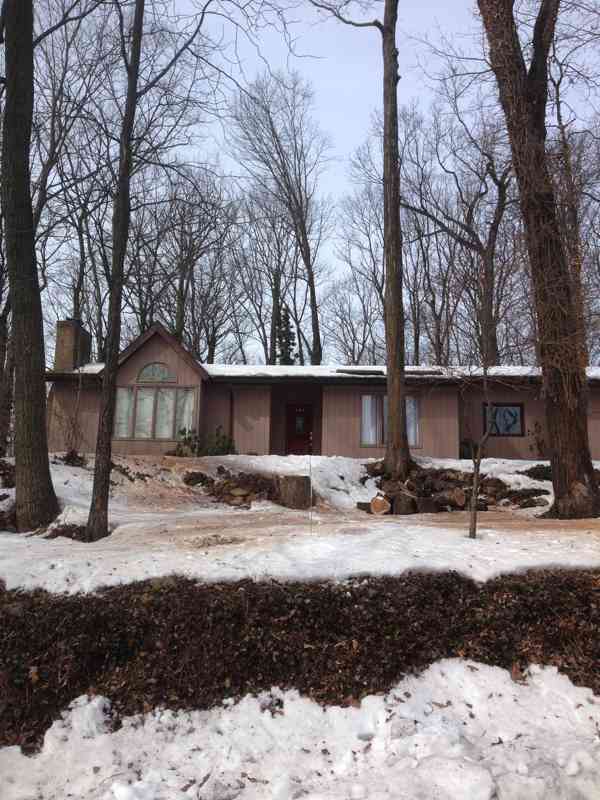 Silver Maple before pruning to provide clearing for house. 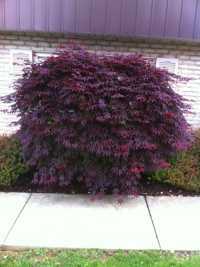 Purple Plum before thinning and reduction. 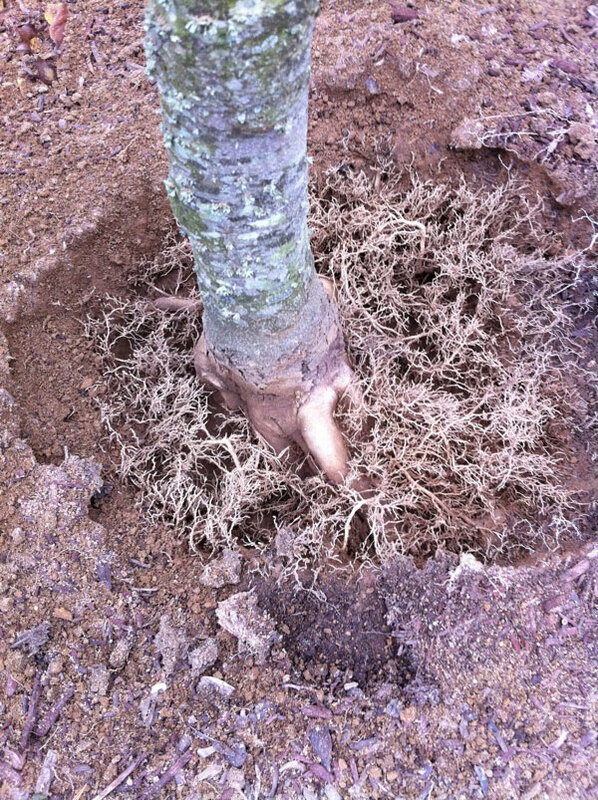 Purple Plum after thinning and reduction. 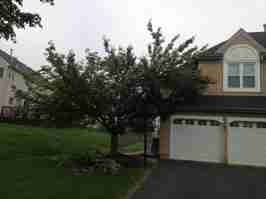 Kwanzan Cherry tree before thinning,elevation and reduction. 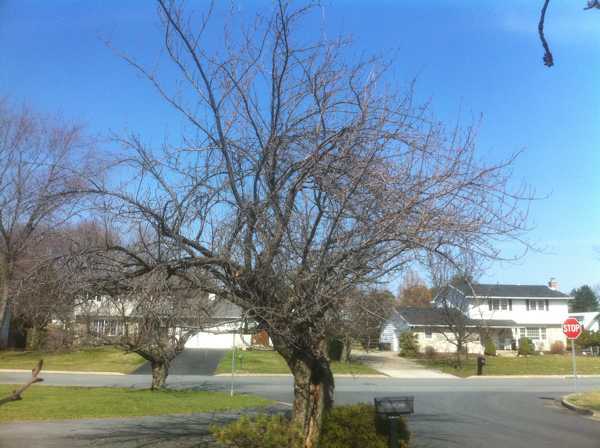 Kwanzan Cherry tree after thinning, elevation and reduction. 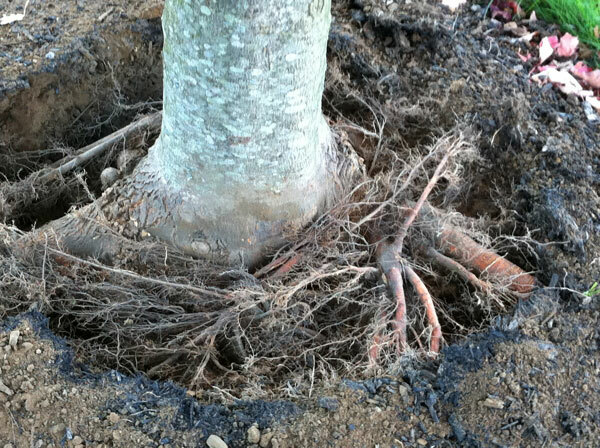 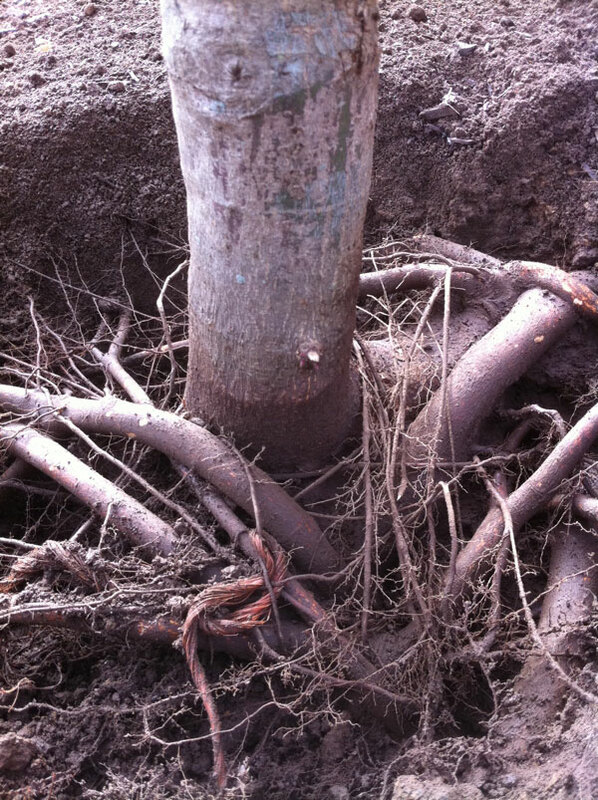 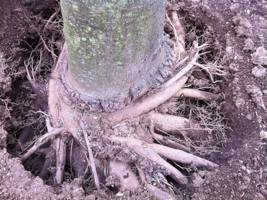 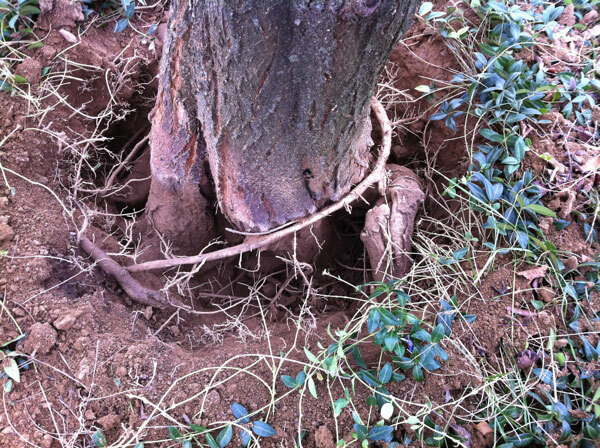 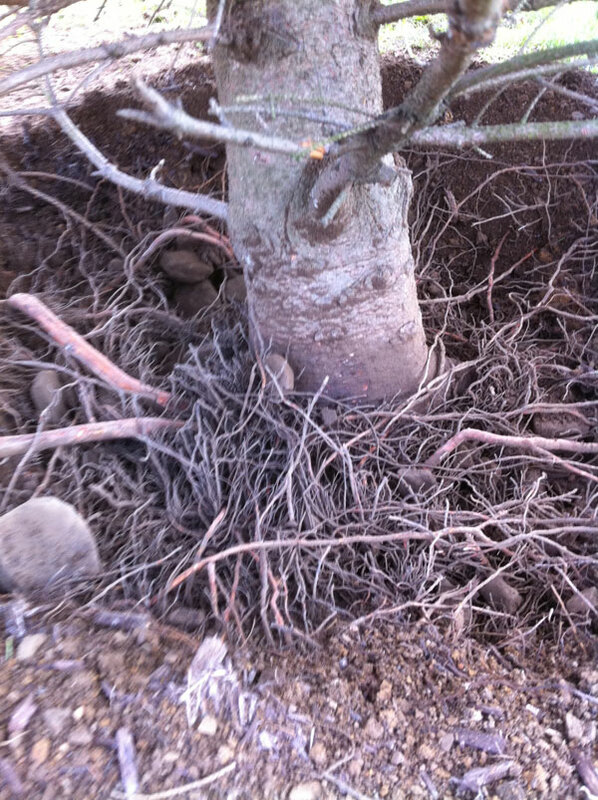 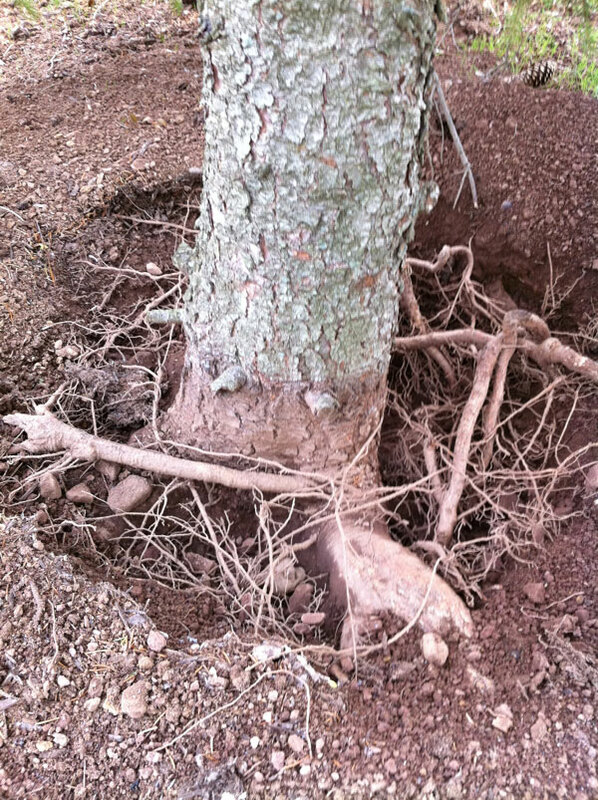 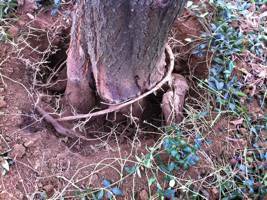 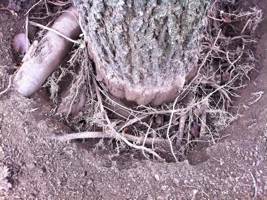 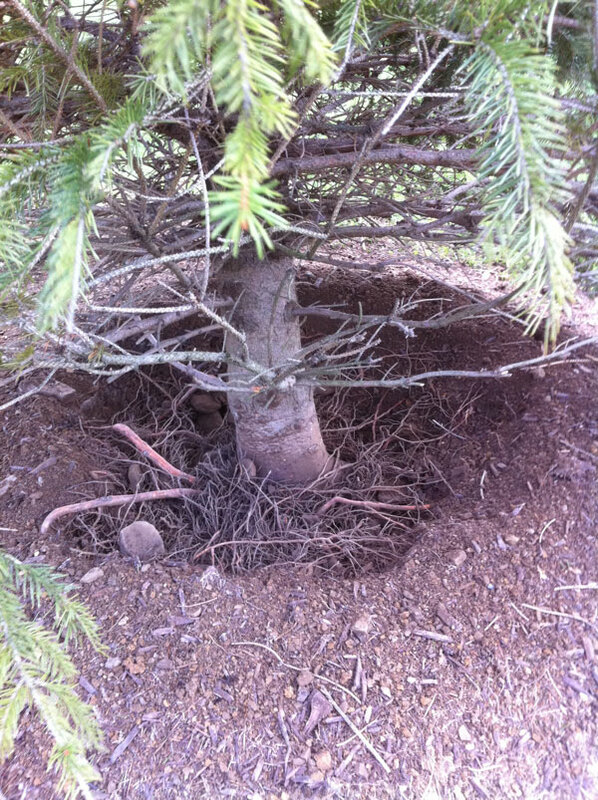 Improperly planted and excessively mulched Douglas Fir tree before root collar excavation. 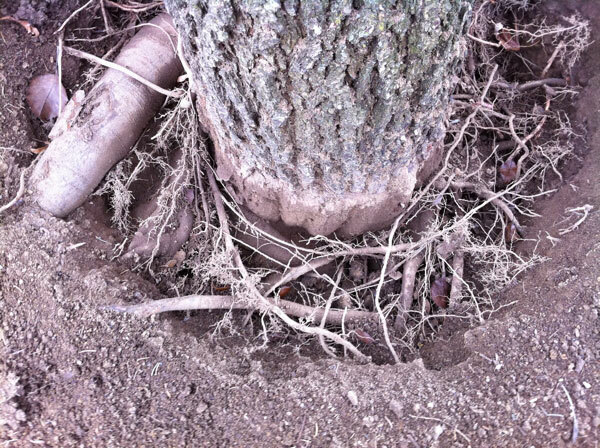 Uprighting and installing tree support system on fallen Douglas Fir tree. 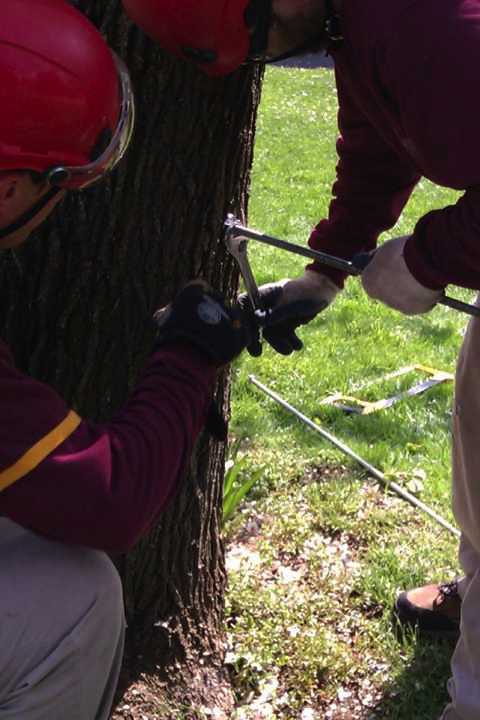 Installing brace rods in a splitting Bradford Pear tree. 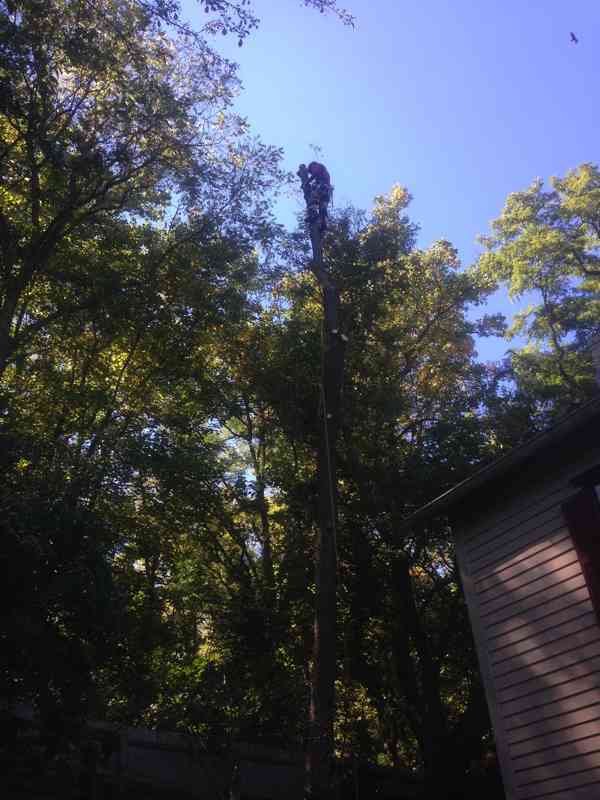 Getting ready for lift off. 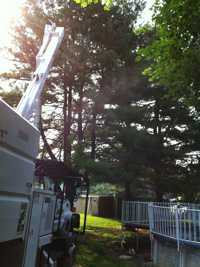 Crane Removal. 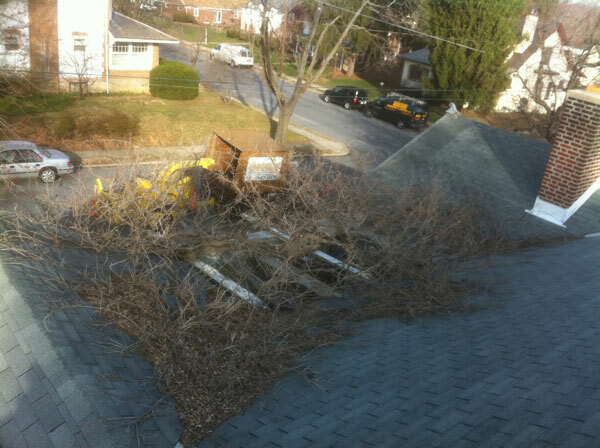 Hazardous tree removal in the Rose Garden for the City of Bethlehem. 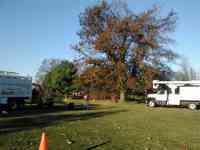 Removal of leaning White Ash tree during a donated day of services at the Archibald Johston Estate. 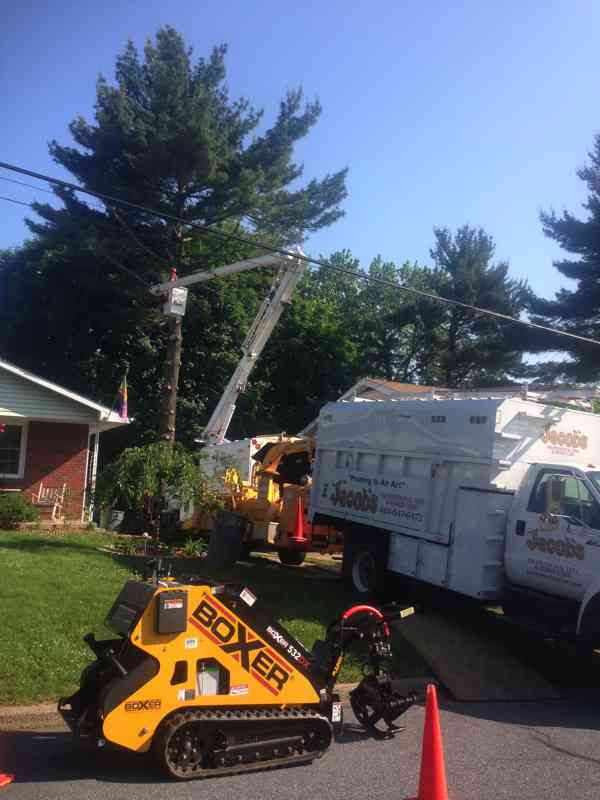 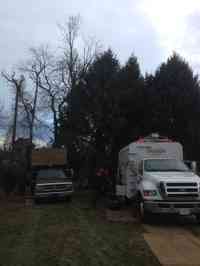 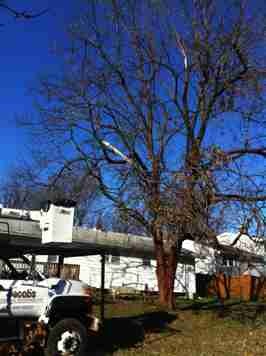 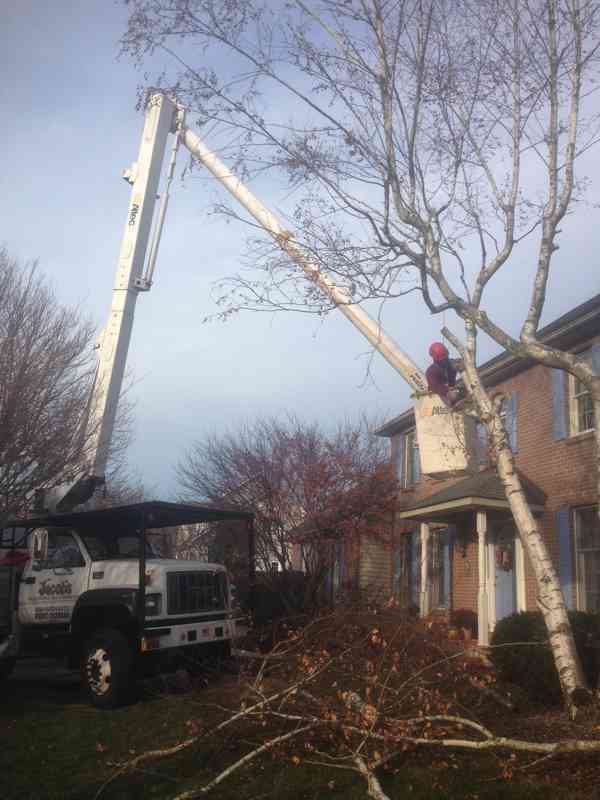 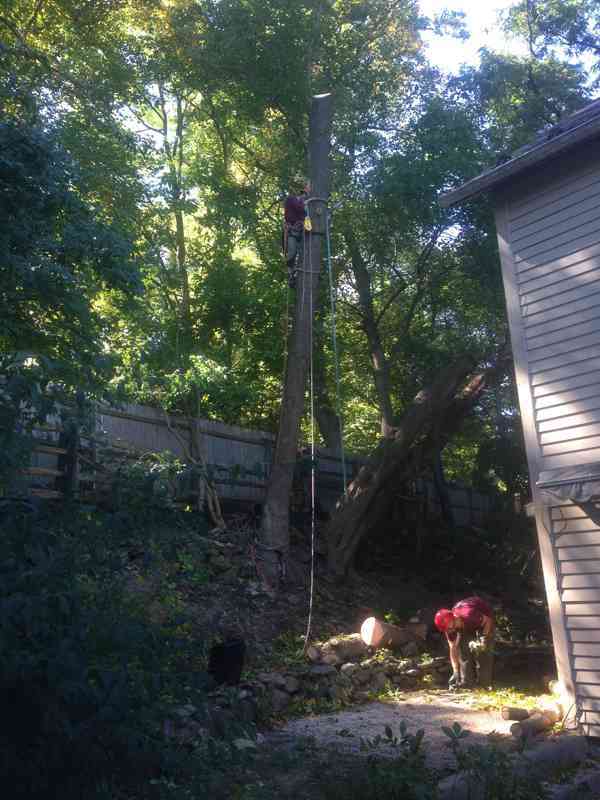 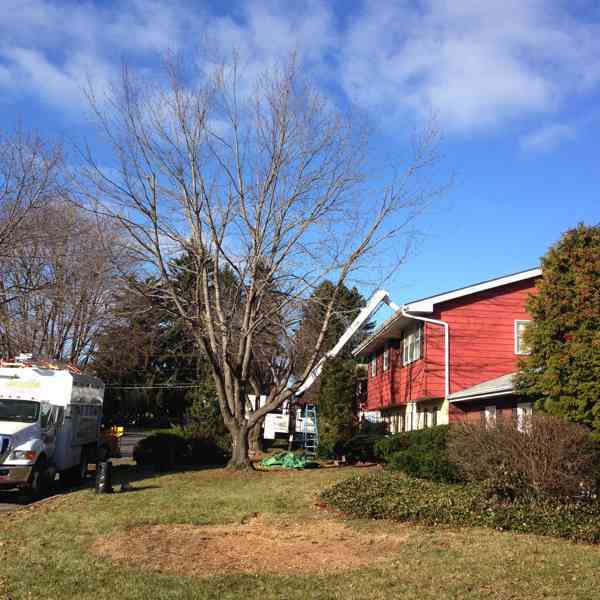 Starting a Sycamore tree removal. Removal of a declining borer infested White Birch tree. 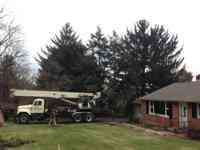 Removal of large Norway Spruce with a Crane. 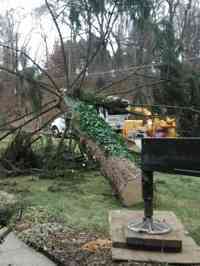 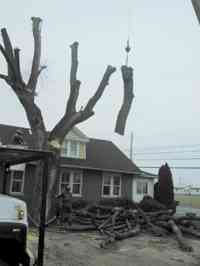 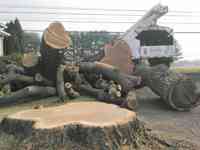 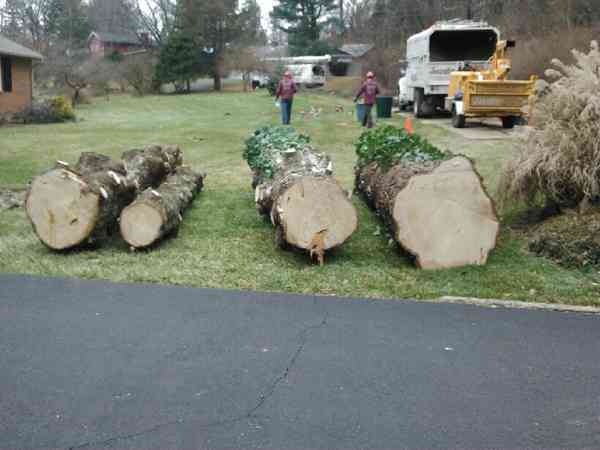 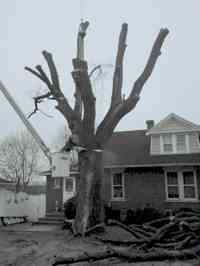 After the removal of a large Norway Spruce with a Crane. 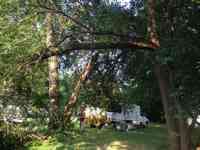 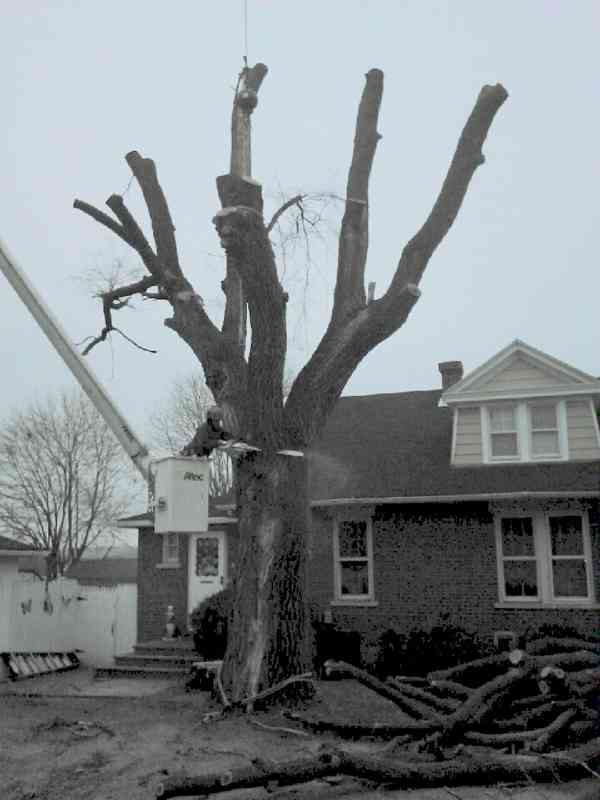 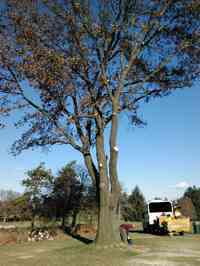 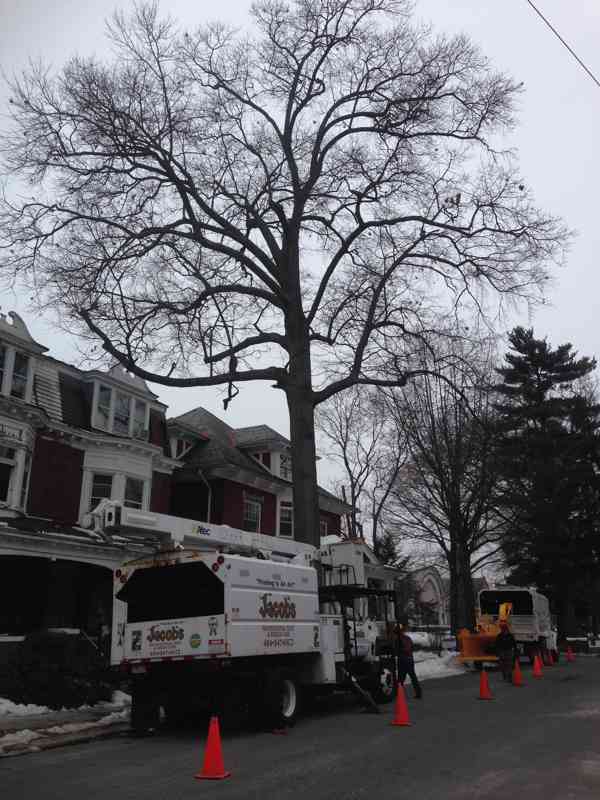 Before the removal of a large Siberian Elm tree with a crane. 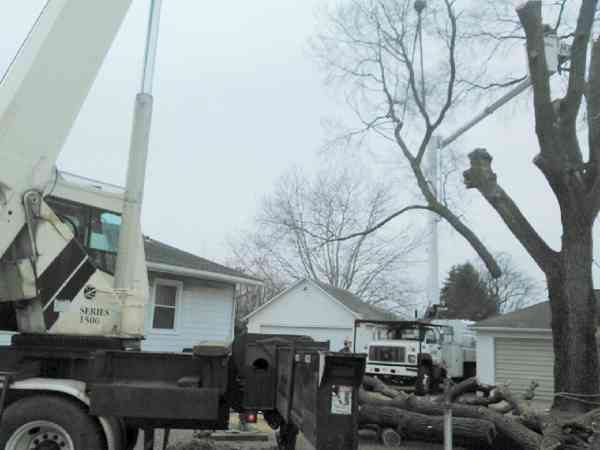 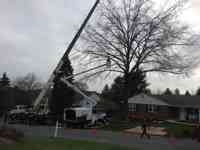 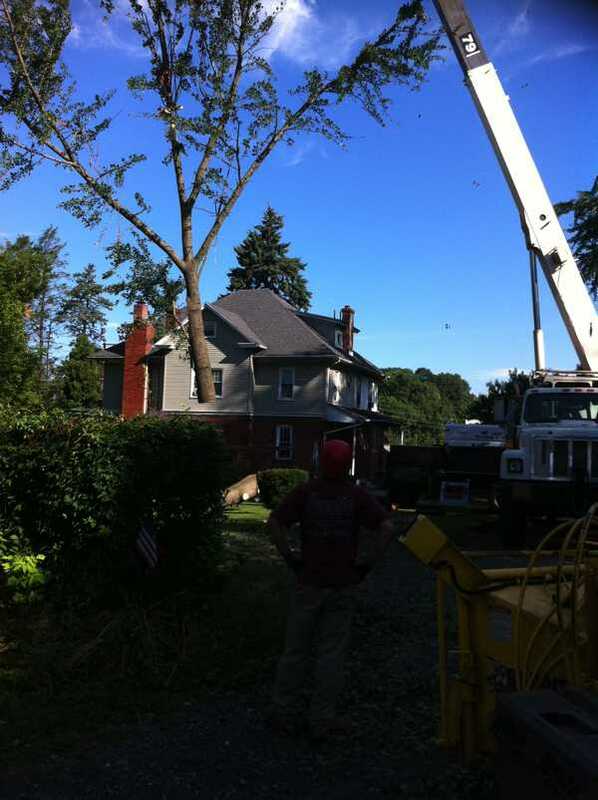 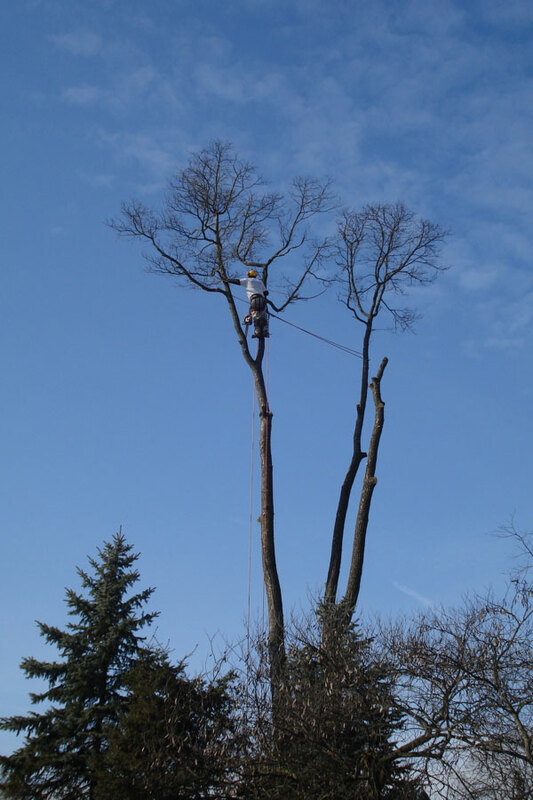 During the removal of a large Siberian Elm tree with a crane. After the removal of a large Siberian Elm tree with a crane. 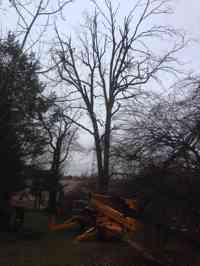 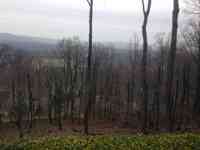 Before the removal of a dead Pignut Hickory tree in a hard to reach area. Before using an all terrain lift to remove a dead Pignut Hickory tree in a hard to reach area. 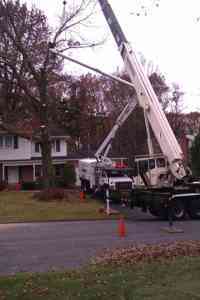 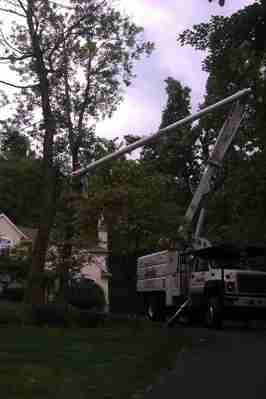 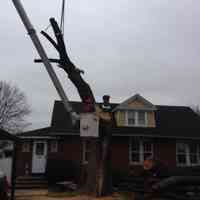 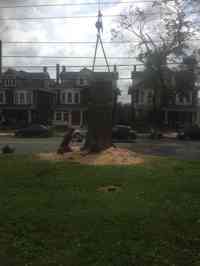 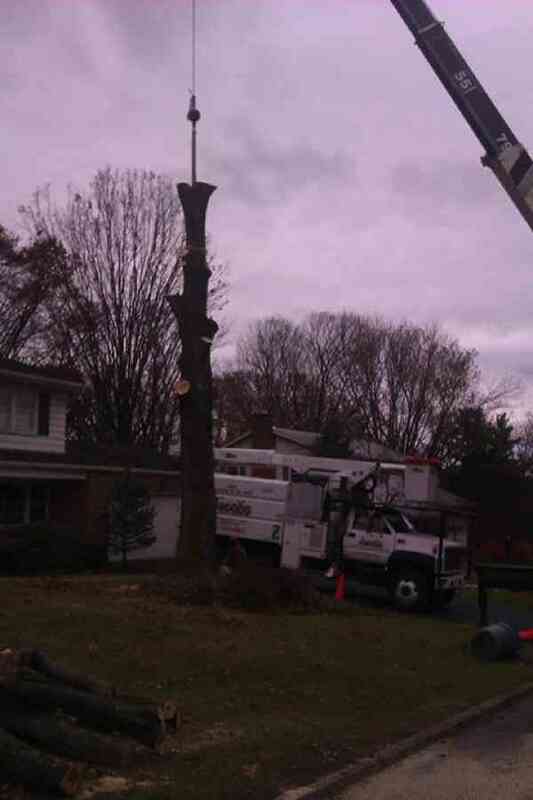 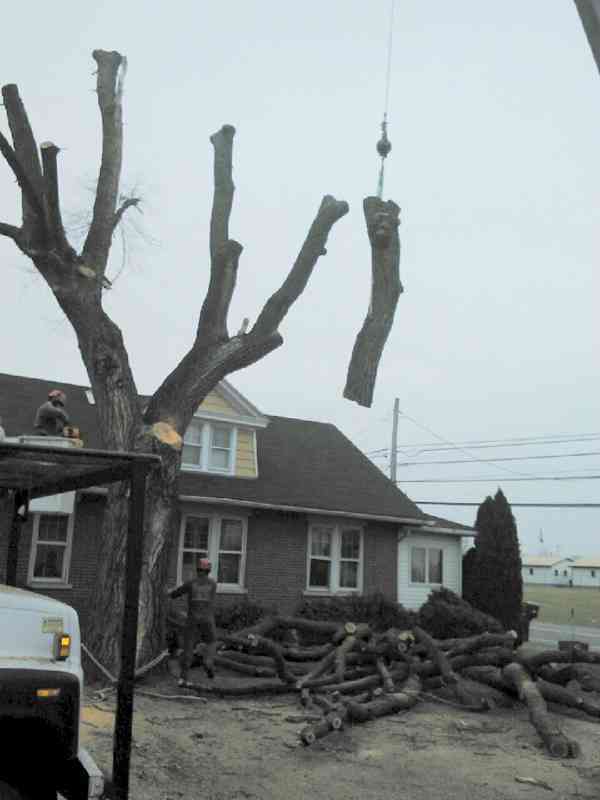 Removal of a Pin Oak tree. After removal of hazardous White Oak tree. 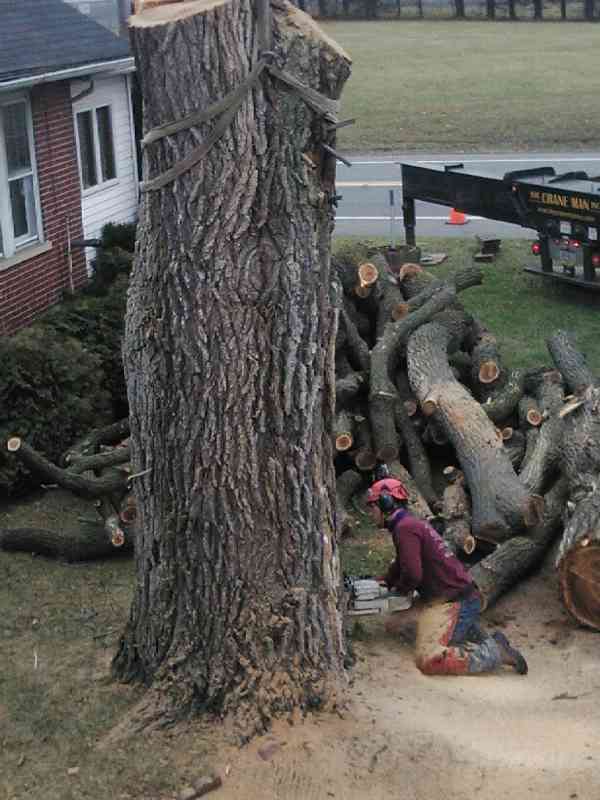 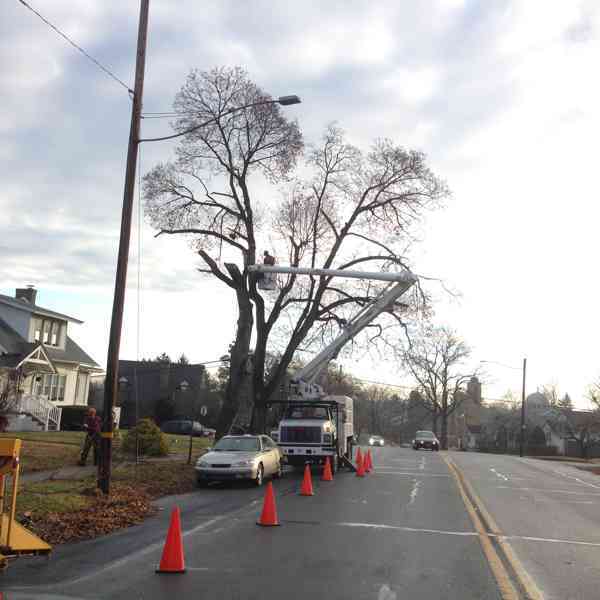 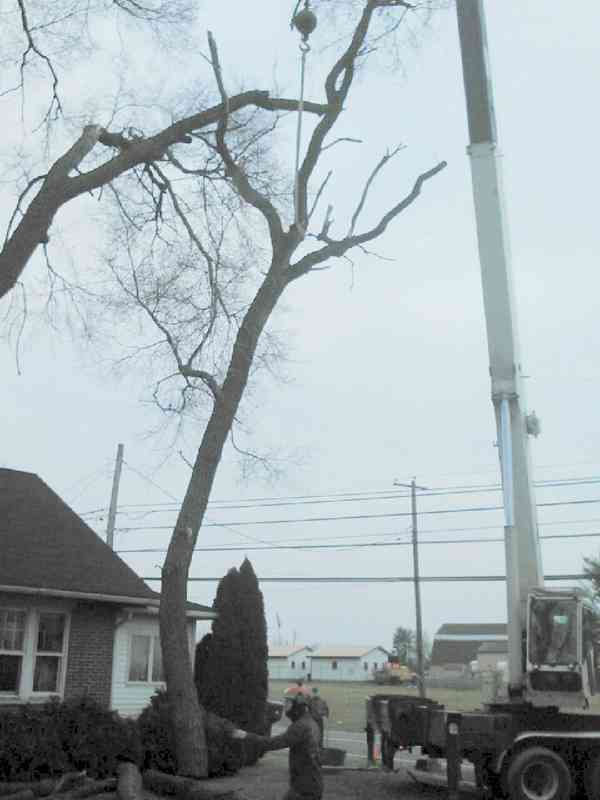 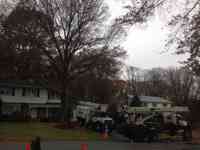 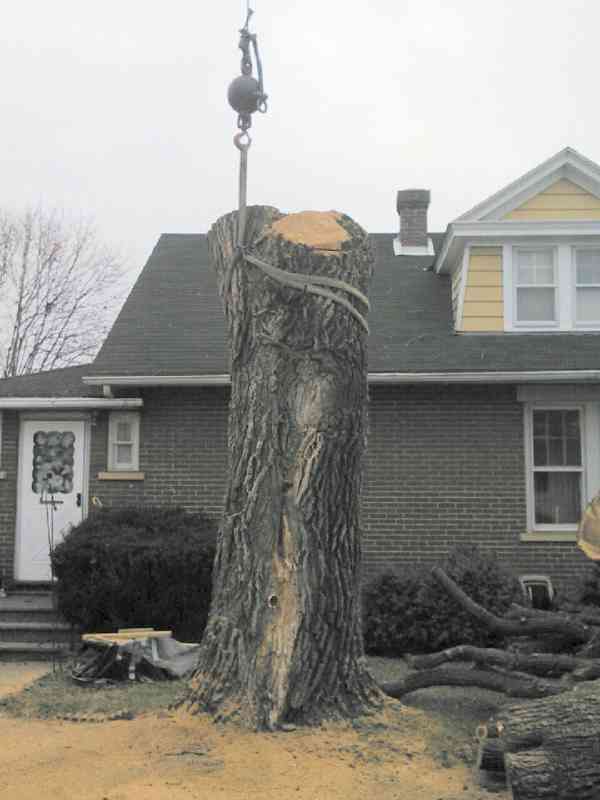 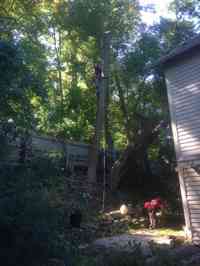 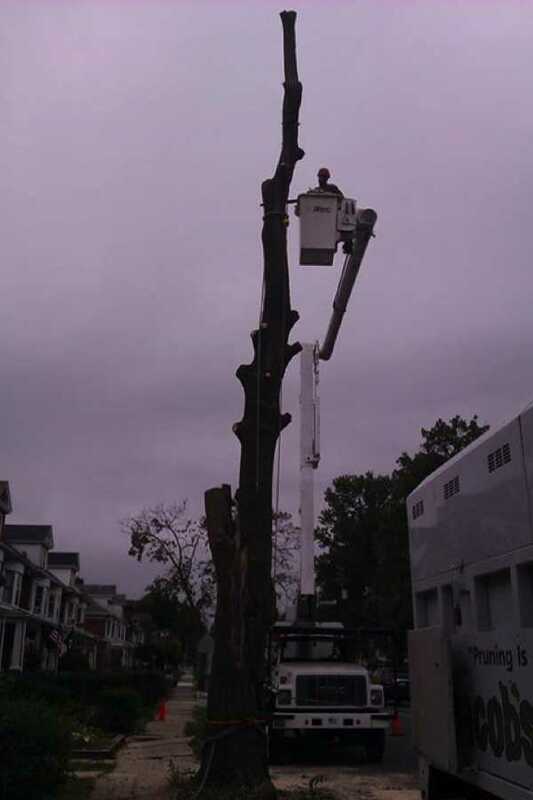 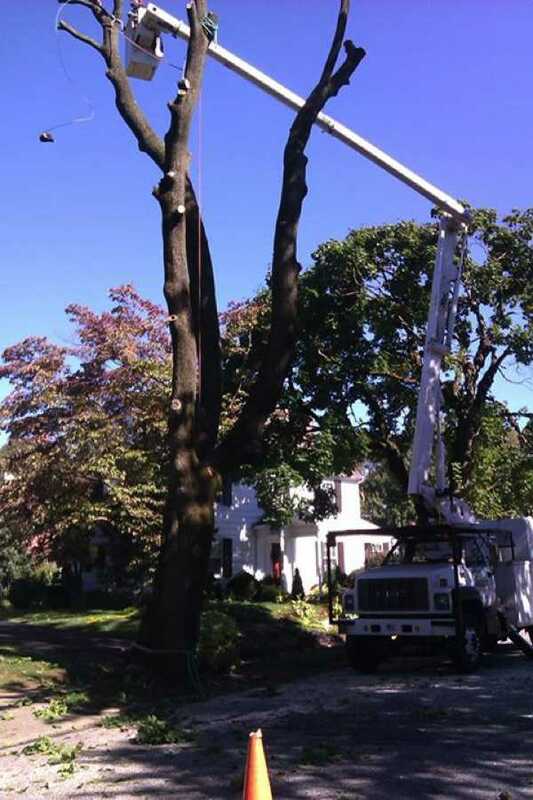 Removal of hazardous White Oak tree. 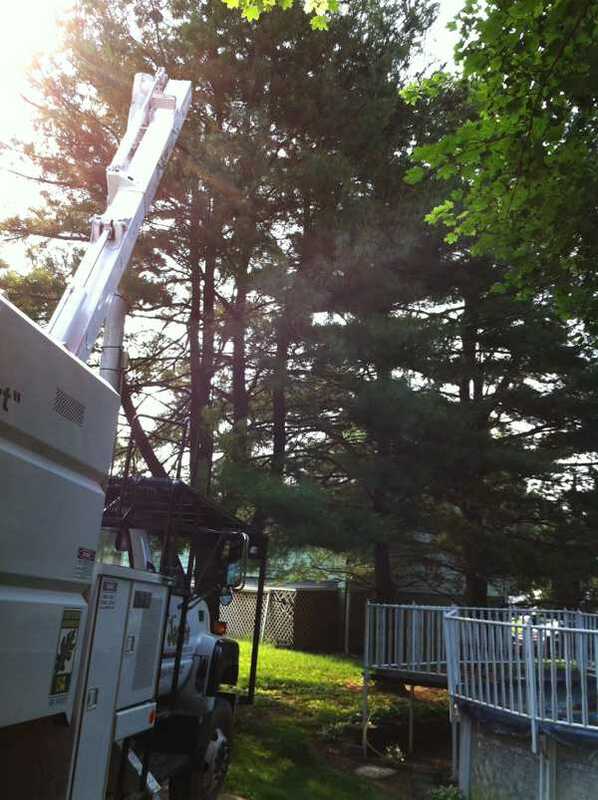 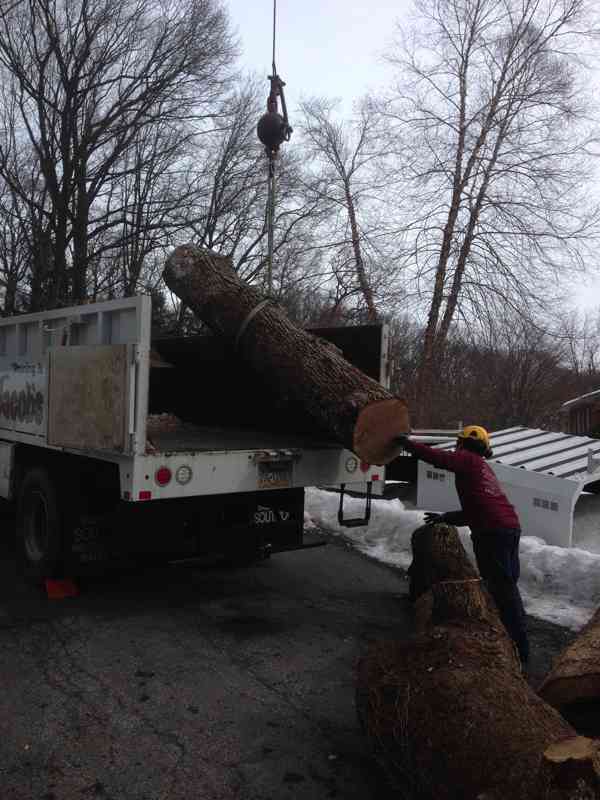 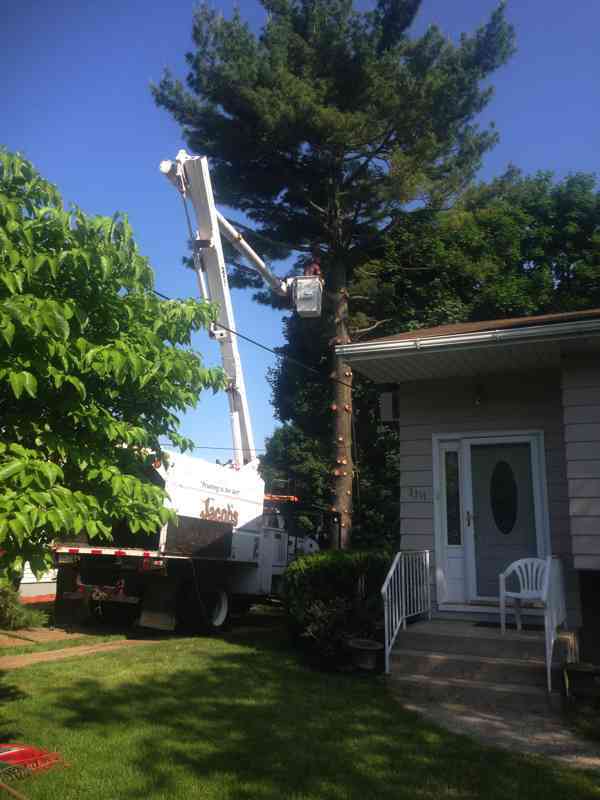 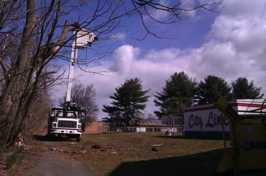 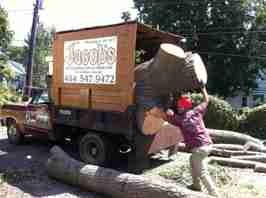 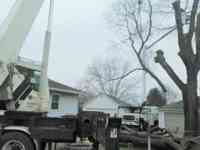 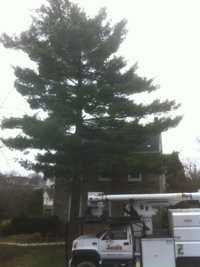 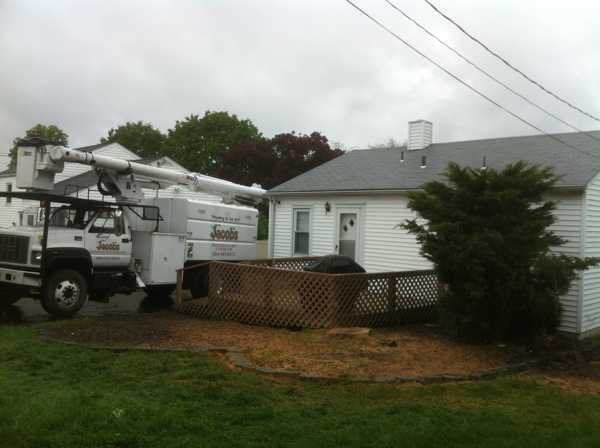 Removal of a White Pine tree. 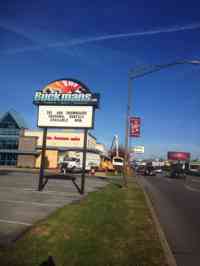 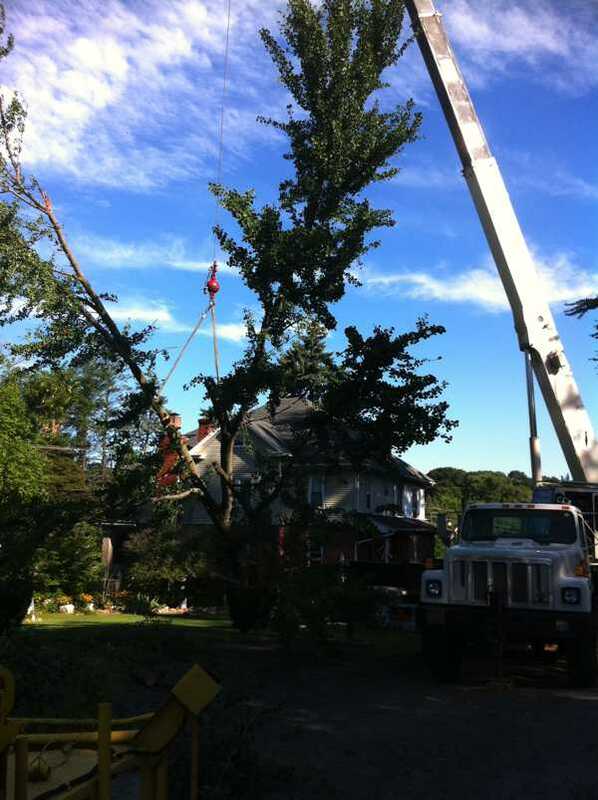 Gingko tree removal with a crane. 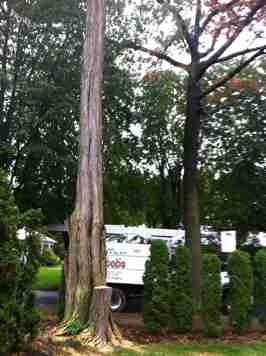 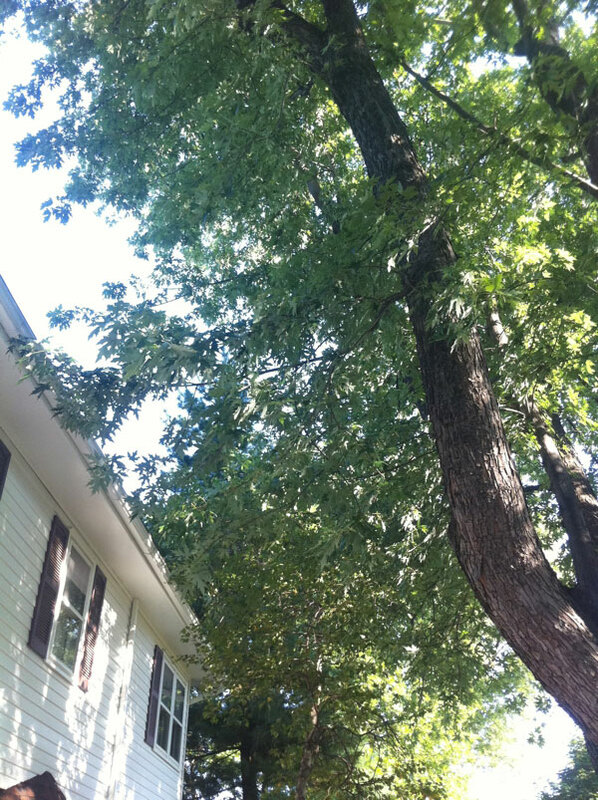 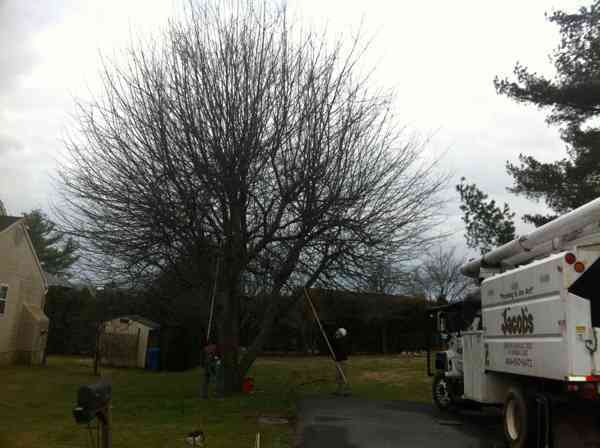 Before removal of dangerous co-dominate lead from a Honey Locust. After removal of dangerous co-dominate lead from a Honey Locust. 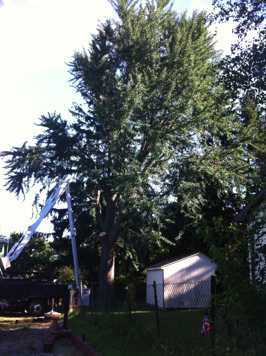 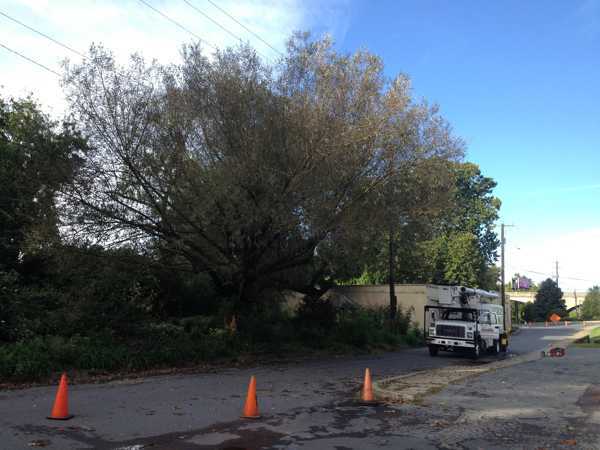 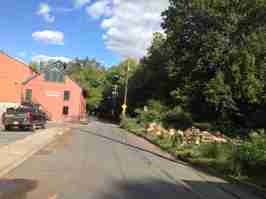 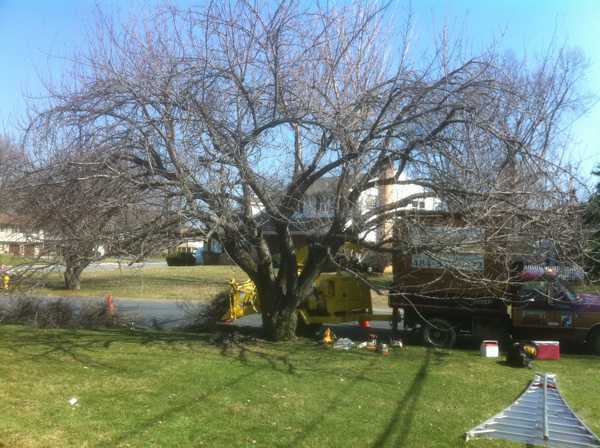 Before removal of 2 Weeping Willow trees for the City of Bethlehem. 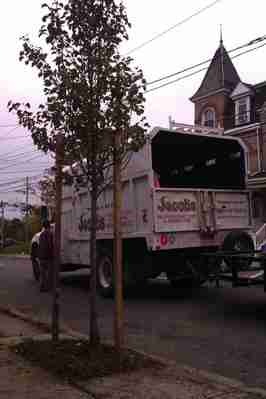 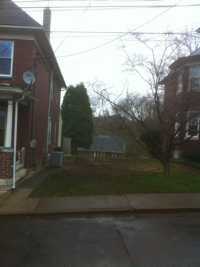 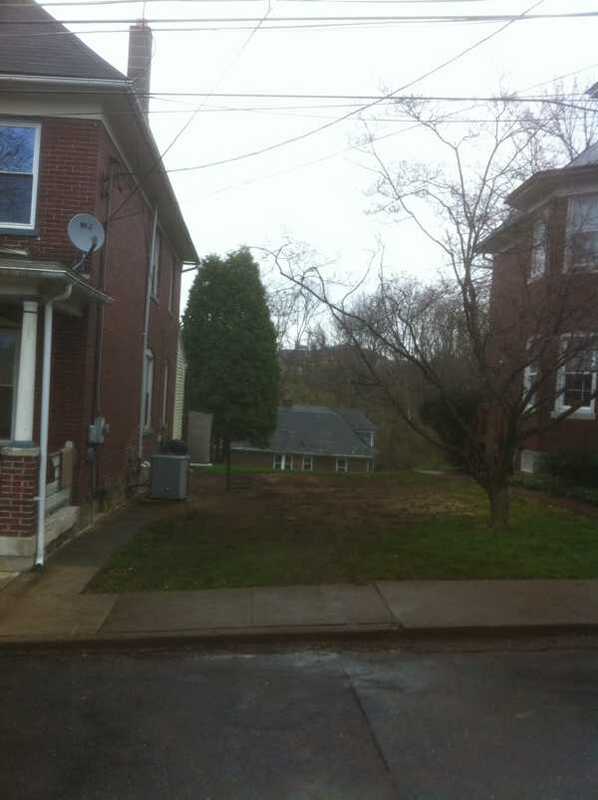 After removal of Weeping Willow trees for the City of Bethlehem. Geared up and ready to remove a hazadous Red Oak tree with a crane. 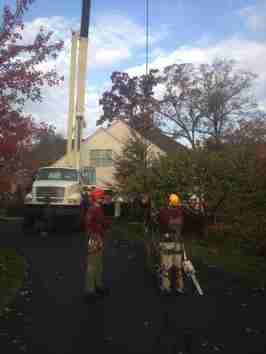 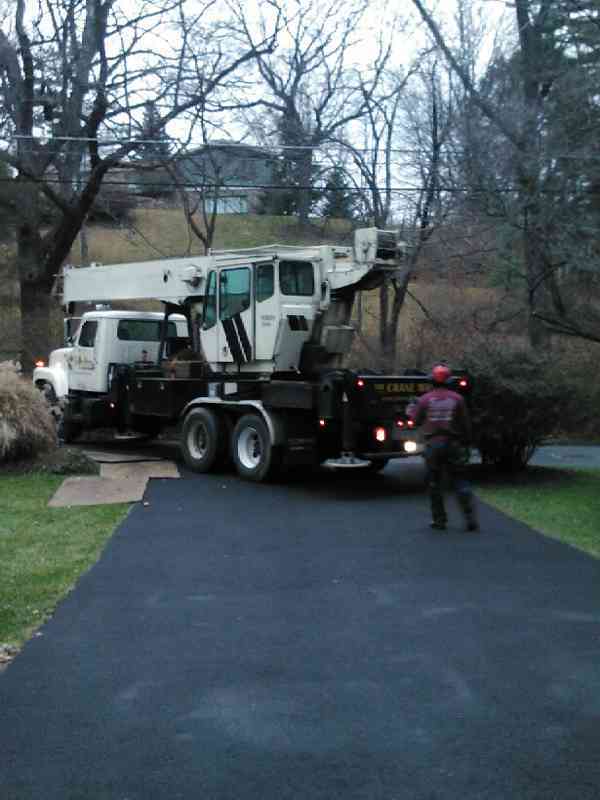 Pin Oak removal with the aid of a 36 ton crane. Midway through White Pine removal. 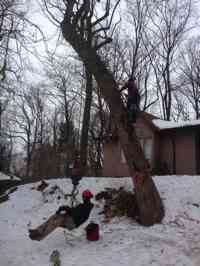 Getting ready to fell trunk of Norway Maple. 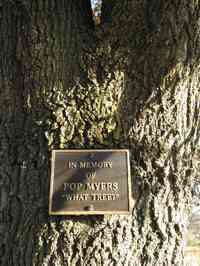 After removal of Norway Maple tree. 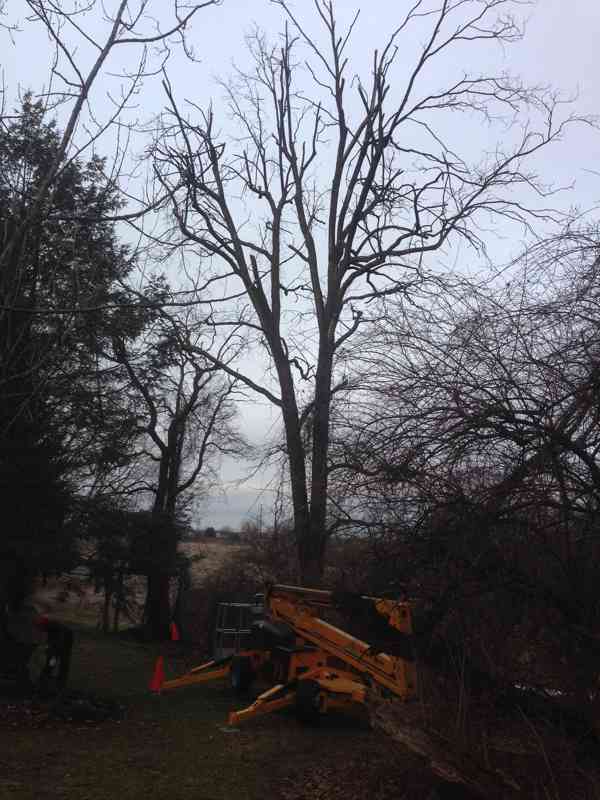 Starting removal of White Ash tree. 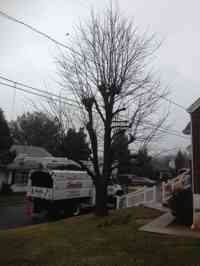 Before removal of large dying Red Oak tree. 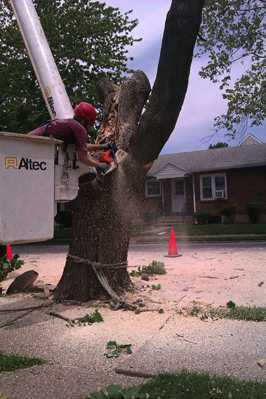 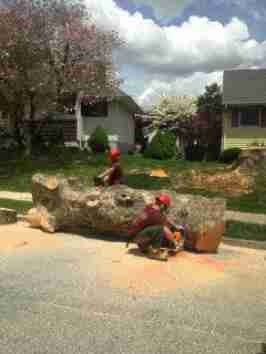 Getting ready to fell trunk of large dying Red Oak tree. 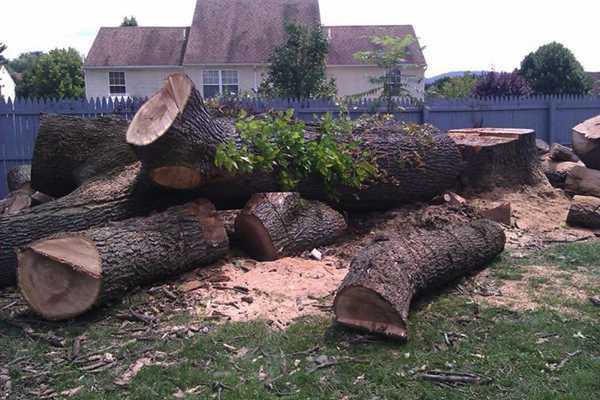 After felling trunk of large dying Red Oak tree. 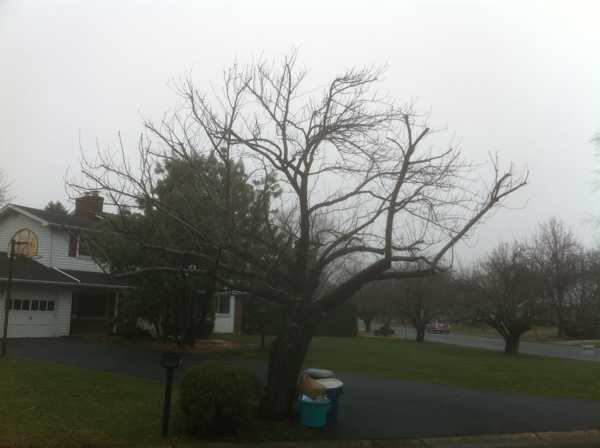 Before removal of large Hickory tree. 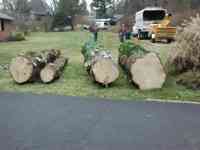 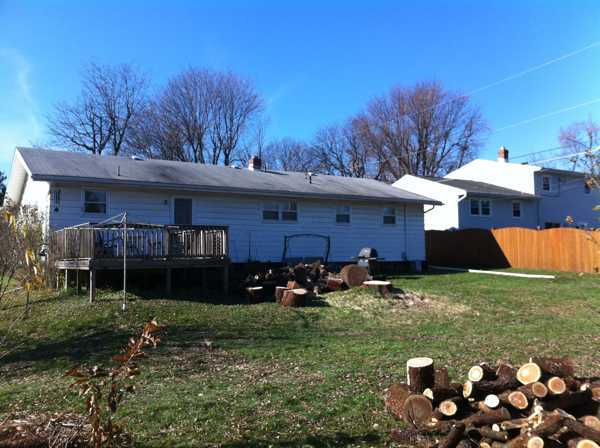 After felling trunk of large Hickory tree. 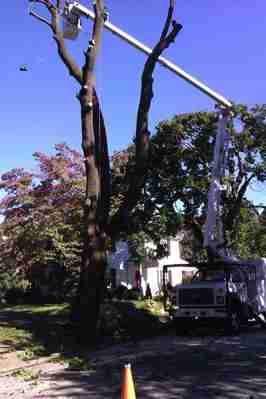 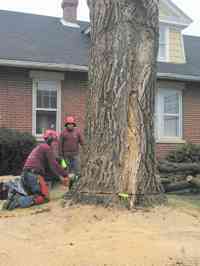 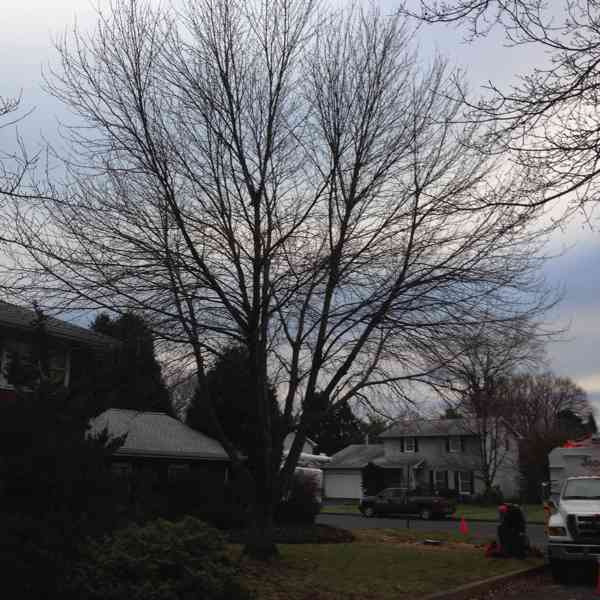 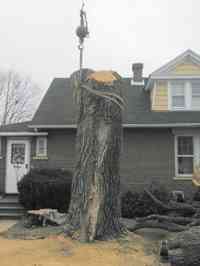 Removal of Norway Maple tree. 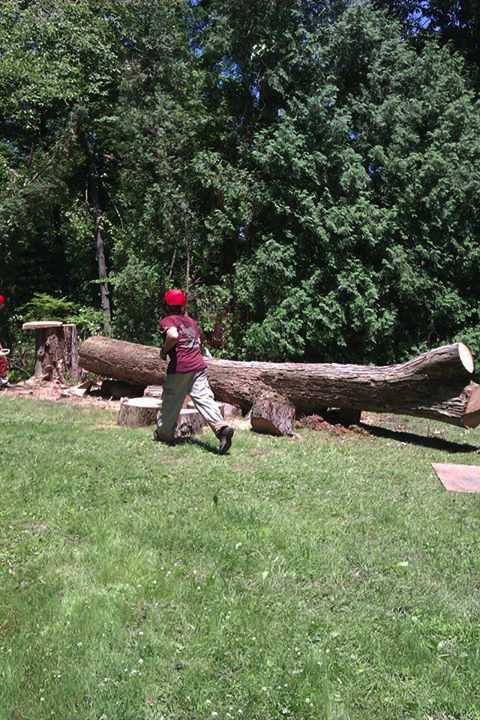 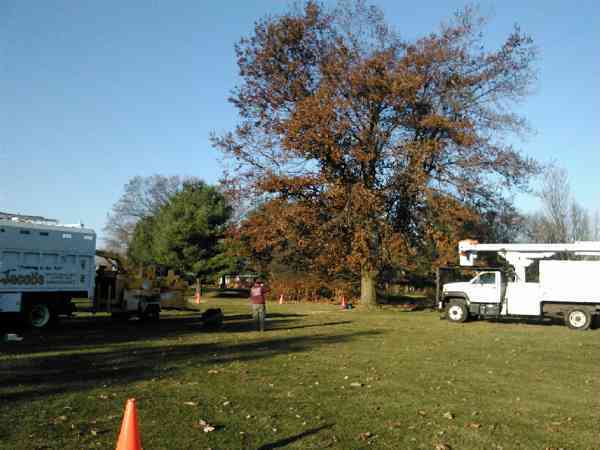 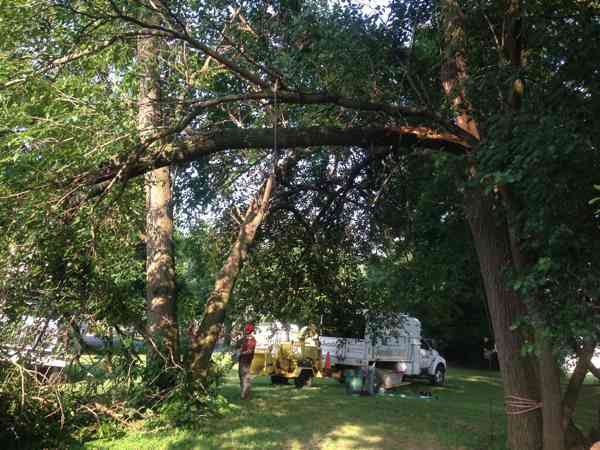 Removing a hazardous dead tree for City Line Little League. 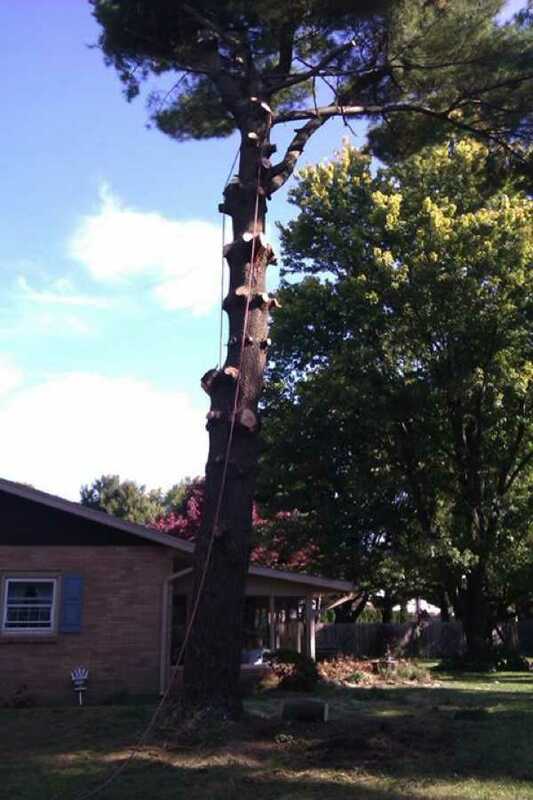 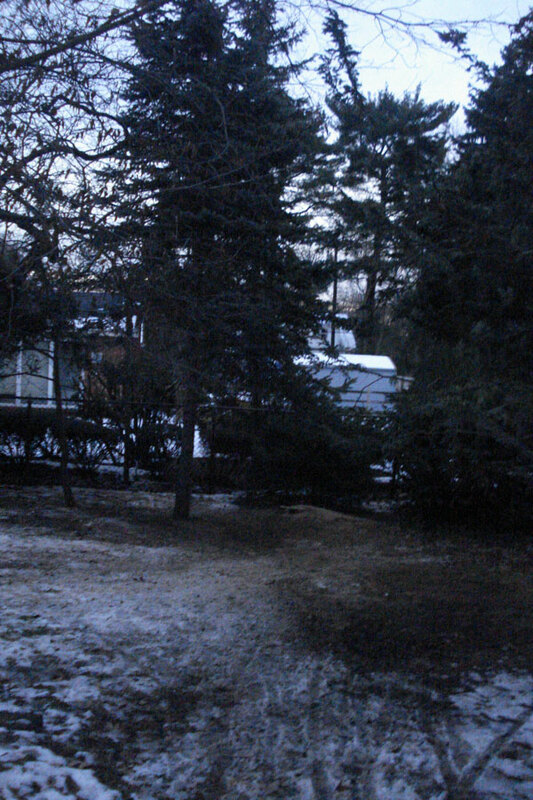 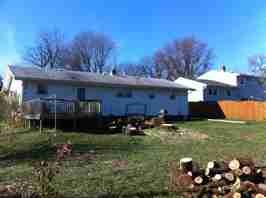 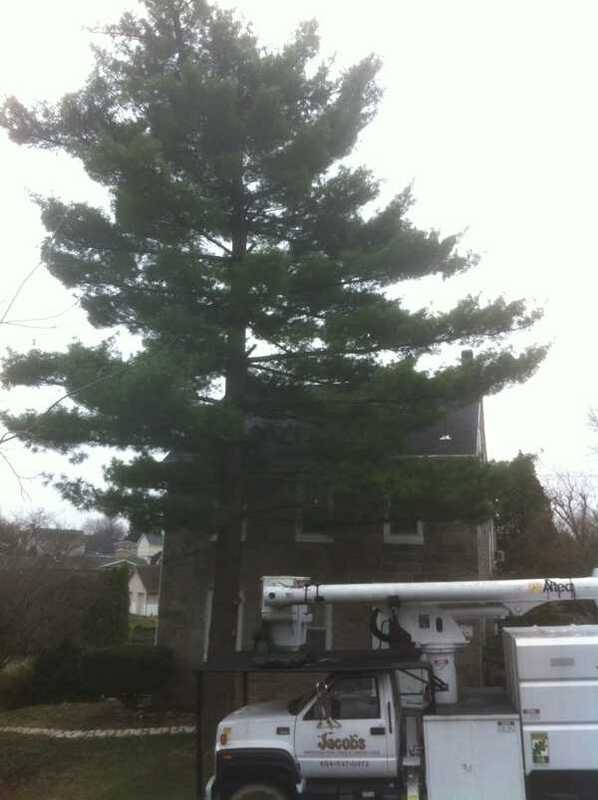 Before removal of White Pine. 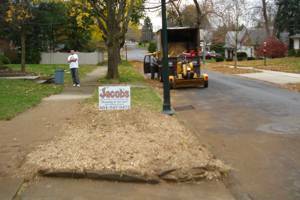 Planting of Bradford Pear tree. 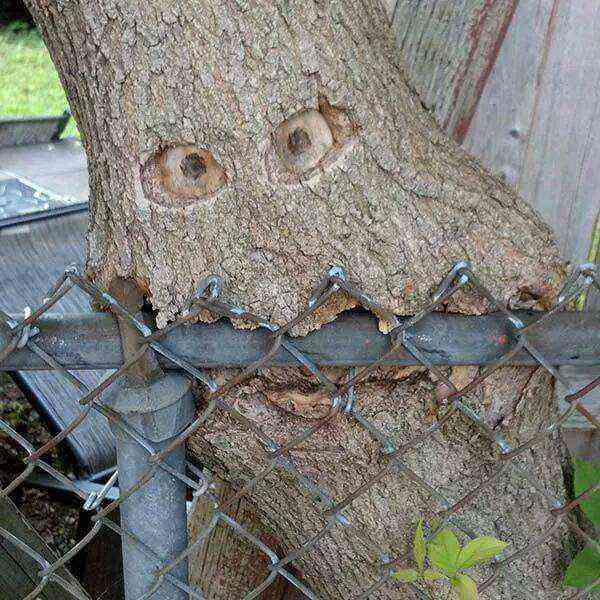 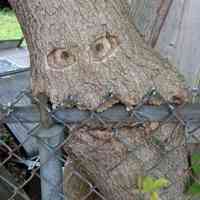 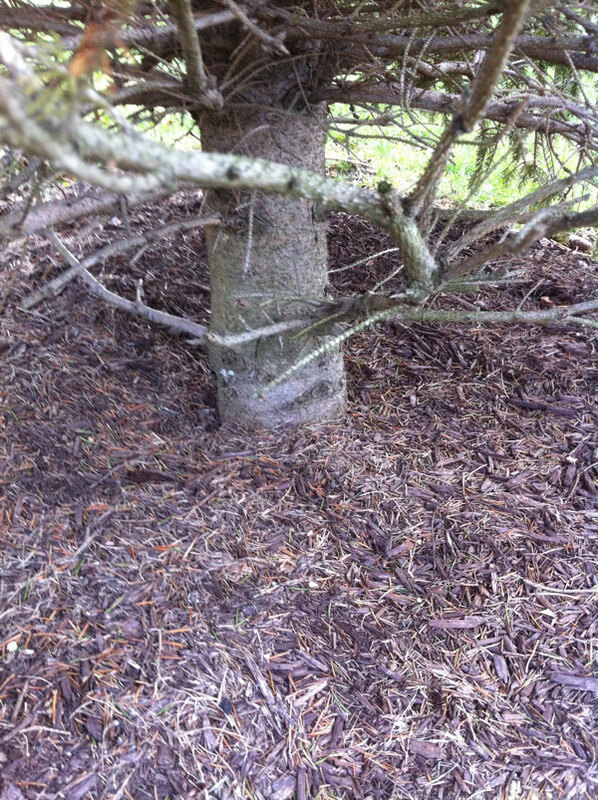 Hungry tree that needs fertilization. 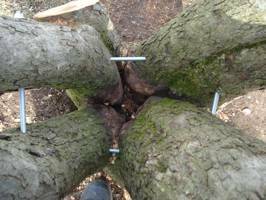 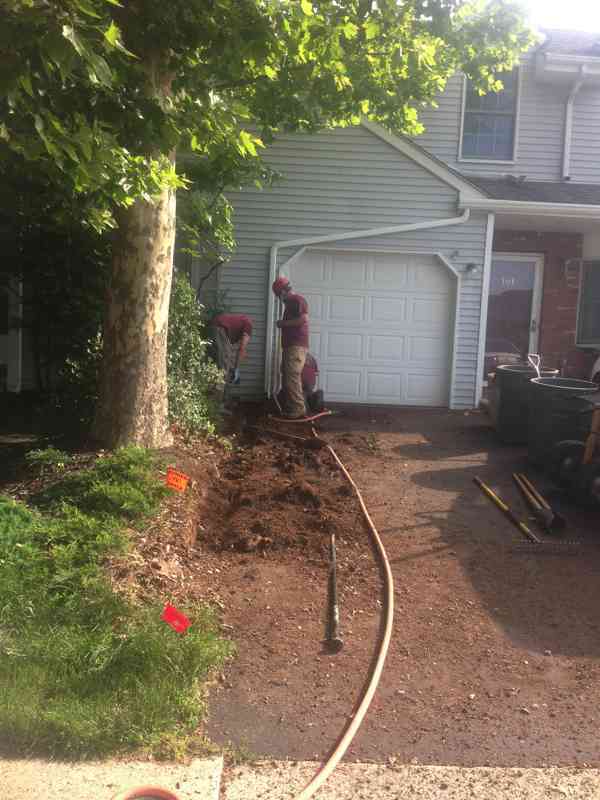 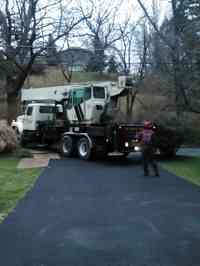 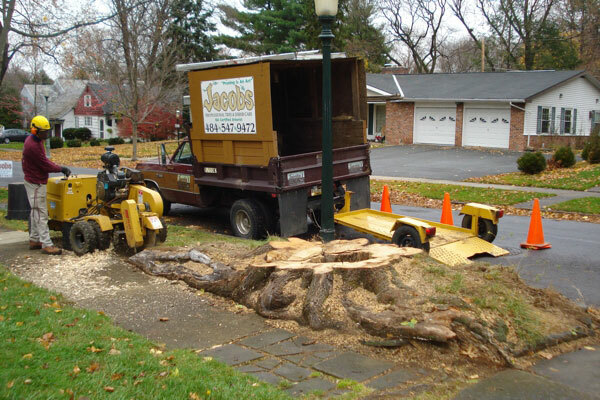 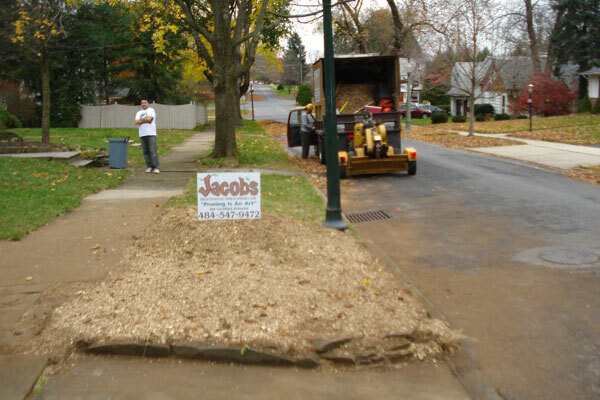 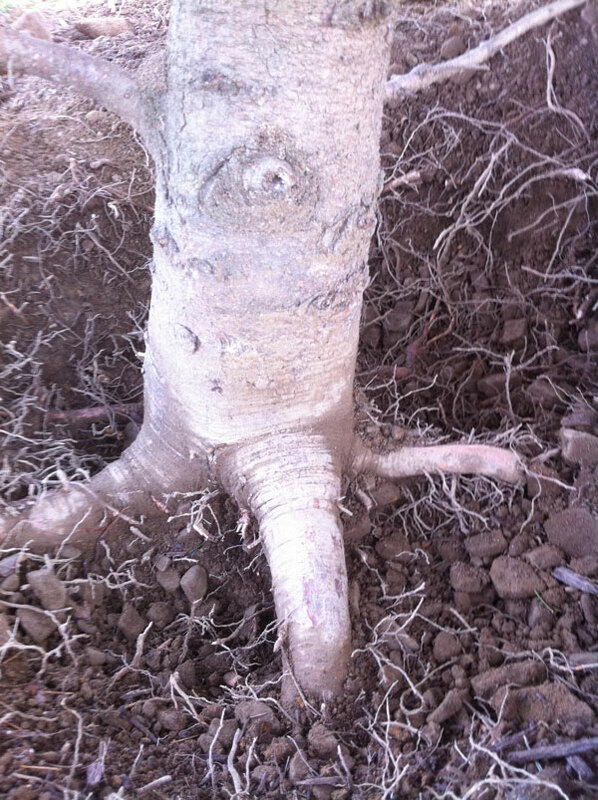 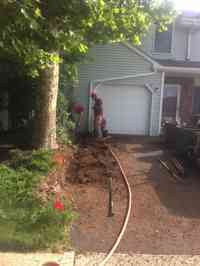 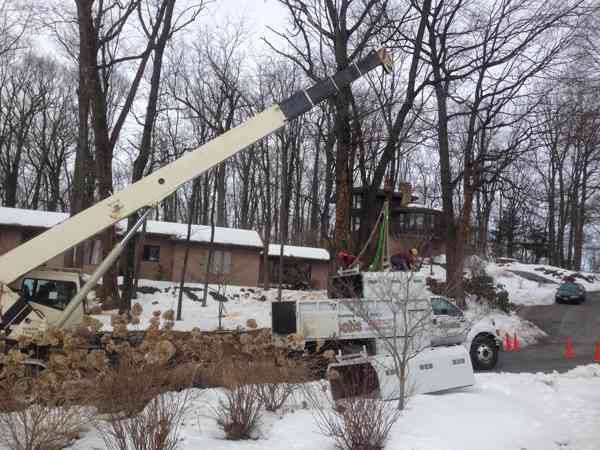 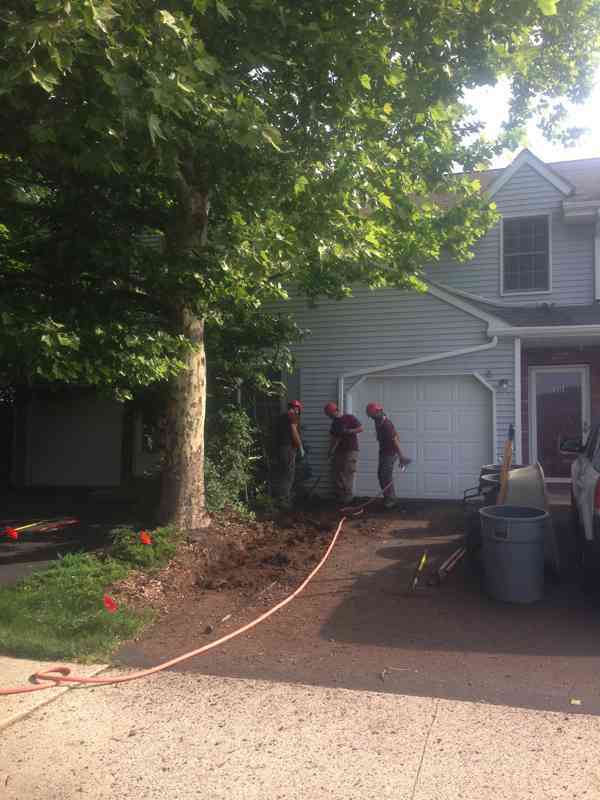 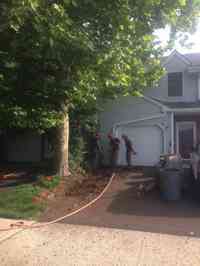 During installation of a root barrier to prevent damage to driveway from a large Sycamore tree. 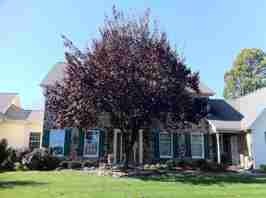 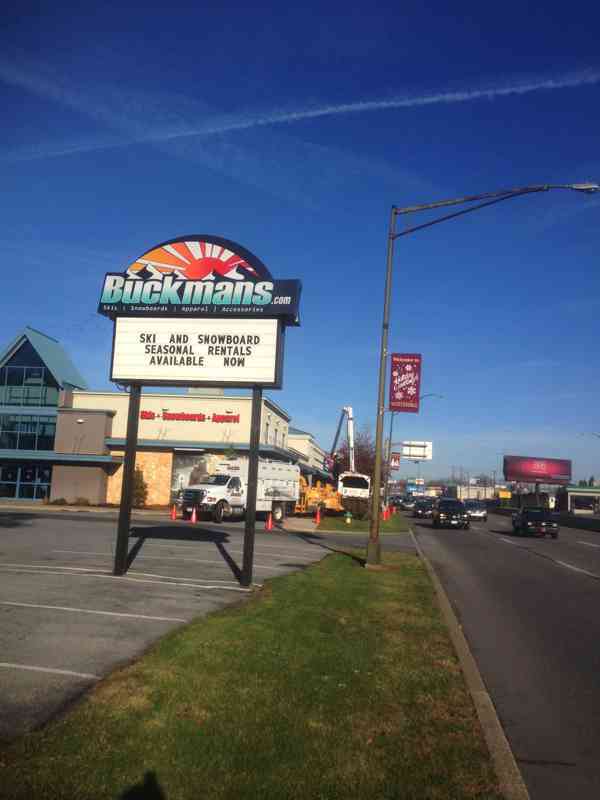 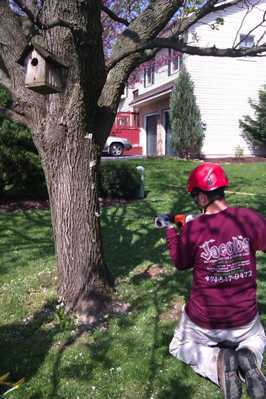 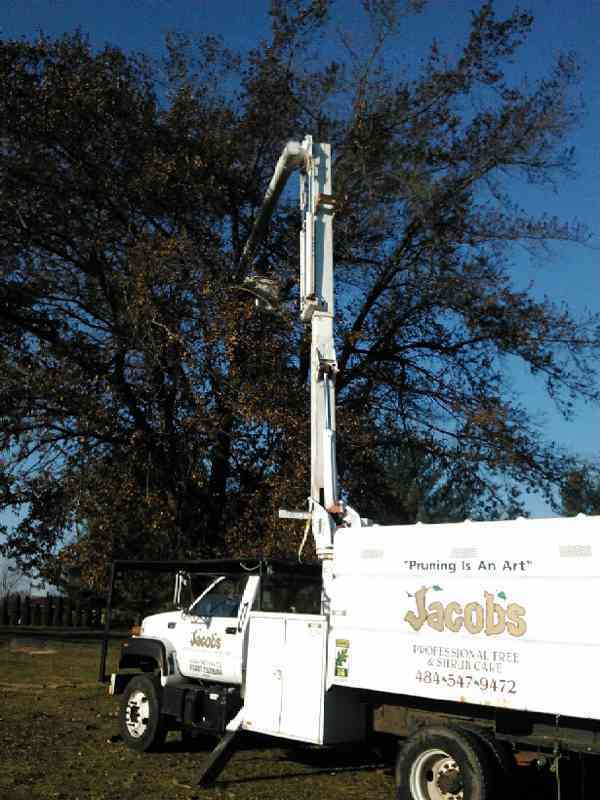 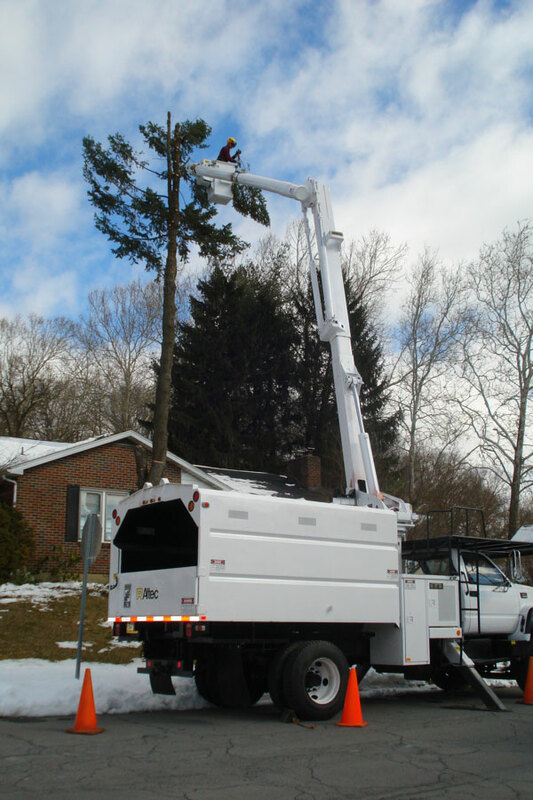 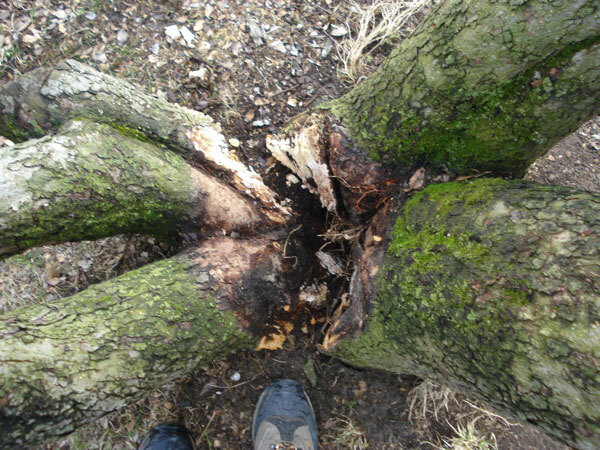 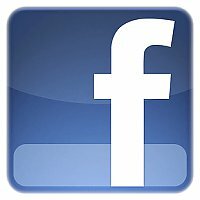 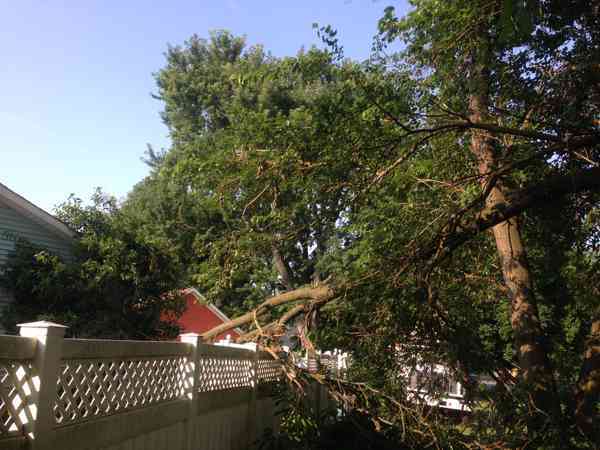 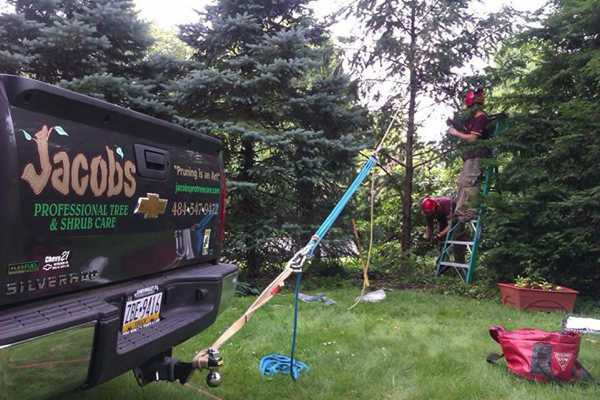 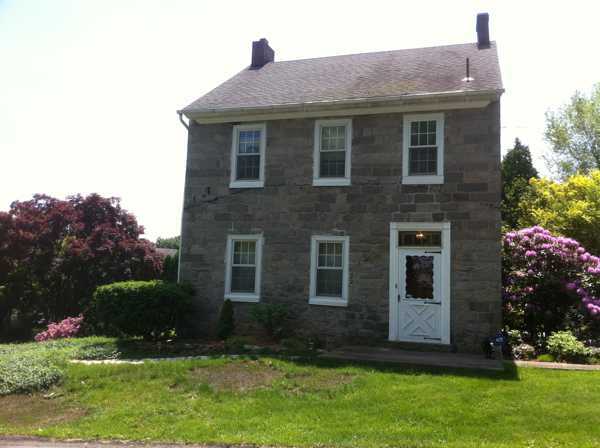 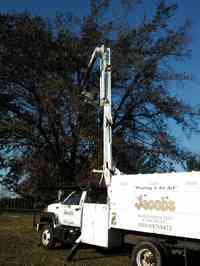 Give Jacob's Professional Tree and Shrub Care a call at (484) 547-9472 to schedule your free estimate or property inspection.